Hydrogen is the most abundant element in our universe and hydrogen-powered vehicles produce only a single emission: water. It s no wonder a handful automakers have touted it as the next-step in sustainable transportation, because it looks great upon a cursory examination. 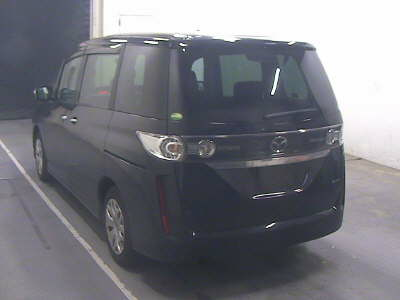 But it hasn t held up under increased scrutiny and numerous manufacturers have been highly critical of fuel cell cars. Earlier this year, Jaguar Land Rover’s technical design director called hydrogen-powered vehicles a disaster in practical efficiency. Tesla Motors Elon Musk went even further, calling the technology incredibly dumb. More recently, VW Group also hinted that it thought there wasn t going to be much of a future for fuel cells. Matthias Mueller s address at the Frankfurt Auto Show was heavy on electrification and light on hydrogen, with Audi spearheading the technology. Although, if president of Audi of America Scott Keogh is to be believed, it looks to be a rather dull spear they are using. The worst thing you can do is kind of half bake electric, then go off on another science project with fuel cells, then go running to another science project, Keogh told Automotive News at the show. Post dieselgate, Volkswagen Group has billions wrapped up in developing electric vehicles, using its Electrify America subsidiary to improve the EV infrastructure in the United States, and collaborating with other automakers to do the same in Europe. After, and only after, VW has established itself as an electrified dynamo will it bother pursing hydrogen fuel cells with any earnestness. Keogh estimated that Audi would have limited fleets of hydrogen-powered test vehicles on the road within five years and would consider vehicles for consumer use sometime after that. However, Toyota, Hyundai, and Honda are pursing hydrogen as a potentially viable energy source while other automakers are snubbing it. So what s the problem? Jaguar Land Rover s technical design director Wolfgang Ziebart described the issue as one of practical efficiency. Hydrogen-powered cars are not yet a green solution and extracting their energy source, abundant as it may be, requires quite a bit of energy. The processed hydrogen is then stored, shipped, and consumed by vehicles that are electrically driven. “You end up with a well to wheel efficiency of roughly 30 percent for hydrogen, as opposed to more or less well to wheel 70 percent efficiency for a battery electric vehicle, explained Ziebart. So the efficiency of putting the electric energy directly into a battery is about twice as high as the efficiency of producing and using hydrogen. If there was a strong reason to have a hydrogen infrastructure, then I think it would be set up, but with this disastrous well-to-wheel relationship, it doesn’t just make sense,” he concluded. Musk would agree. He has condemned hydrogen fuel cell technology as wasteful in the past, going so far as to suggest other gasses would be easier to live with. If you re going to pick an energy storage mechanism, hydrogen is an incredibly dumb one to pick — you should just pick methane, that s much much easier, or propane, he said. With a vested interest in battery-electric vehicles, Musk would obviously prefer drivers get their car s energy via wires. But, he seems particularly uncharitable toward a hydrogen-based alternative. As compressible gasses go, he says it s just about the worst one. There also isn t much of an infrastructure for hydrogen fueling outside of Pacific Asia. While some areas of Europe and the United States (California, mainly) have small pockets of them, they don t extend beyond urban centers. That would make it impossible for any hydrogen-powered vehicle to leave the confines of their home territory. Meanwhile, electric charging stations are cropping up everywhere and a carefully plotted course means a BEV would eventually make it across the entire continent. The only advantage the hydrogen car would have is the time it takes to refuel. While a battery-powered car needs hours upon hours to recharge via a standard outlet, even a fast charging station could leave you immobilized for over an hour. Comparatively, gassing up your ride with hydrogen would only take a few minutes to achieve the same range. But you re not going to find any H-Stations on a road trip and the gas doesn t come trickling out of the walls of every home that paid its gas bill that month. Audi says, even after it starts dabbling with hydrogen-powered test vehicles, it won t be pursuing Honda or Toyota s plans to help establish an infrastructure to fuel them. It s far more interested in backing VW Group s battery-powered cars. Every time another manufacturer starts to lean more on EVs and throw more resources at them, it pushes the momentum more towards that solution, explained Karl Brauer, executive publisher of Autotrader and Kelley Blue Book. Mercedes-Benz, General Motors, and Hyundai have all scaled down their hydrogen-fueled dreams of late. Chevrolet s Bolt has proven GM knows what its doing with electrification and Mercedes-Benz has promised a slew of mild-hybrids in the years to come. Hyundai, which looked poised to follow Toyota and Honda, may have developed the Tucson Fuel Cell — but has stated it will be gradually abandoning the technology to focus on battery power. DHL, UPS, EMS and Air Mail are available. Most of orders will be sent out within 2 business days. Before sending, all packages will be checked again to ensure their perfectibility. Usually, the lead-time is 3 – 5 days to the major worldwide countries. Since 2007, EPATHCHINA Has Been Focused On Wholesale & Dropship Products for eBay Sellers, Amazon Sellers, Shop Owners, Distributors, Retailers, Drop Shippers & Small Wholesalers. 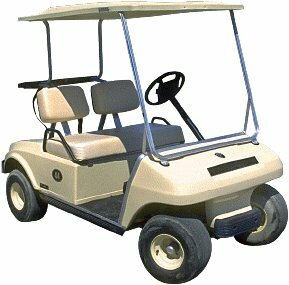 Performance Plus Carts carries a wide selection of Club Car Golf Carts and Golf Cart Parts. Need help determing the model of your Golf Cart? We’ve created a basic serial number and model guide below. If you still have questions about your Club Car Golf Cart or questions about our inventory, contact us! We’re golf cart experts! Club Car DS made in the years 1982 – 2000.5 will look like the golf cart pictured above. 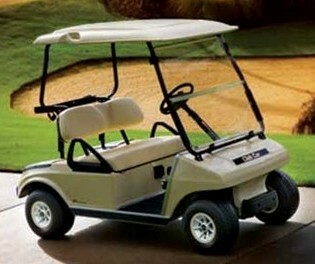 Club Car DS made in the years 2000.5 – present will look like the golf cart pictured above. 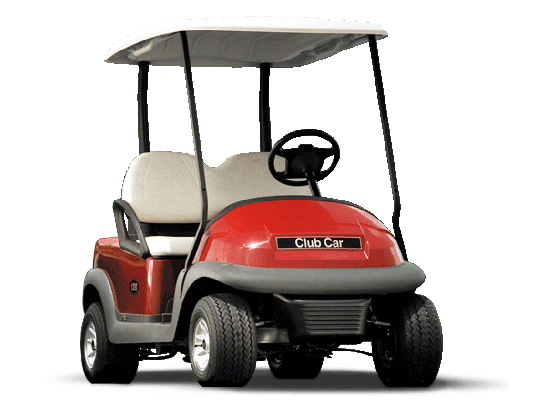 Club Car Precedents were introduced in 2004 and are the newest design in the Club Car family. Now that you know what year your Club Car Cart was built, browse our inventory to find the accesories parts you need! 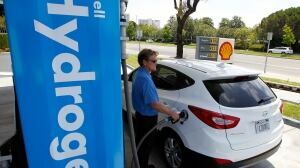 Automakers and fuel cell developers say the hydrogen-powered age is almost here вЂ” again. A fuel cell produces electricity through a chemical reaction, but without combustion. It converts hydrogen and oxygen into water, and in doing so, creates electricity. 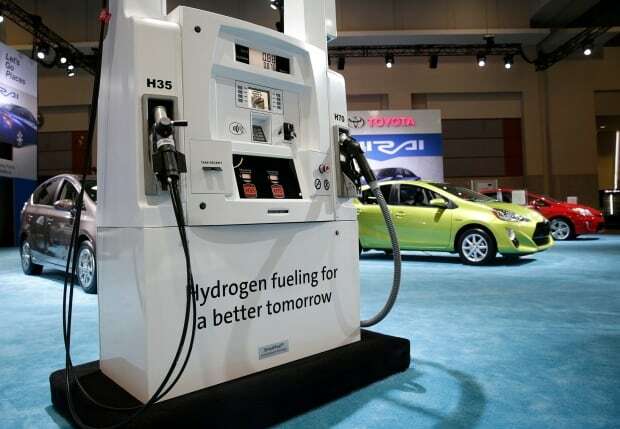 “There has been a big change, particularly in the past year,” said Eric Denhoff, president of the Canadian Hydrogen and Fuel Cell Association. But this is hardly the first time proponents have been excited about the technology. 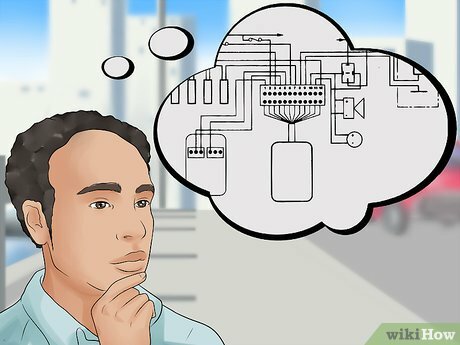 Back in the late ’90s, the world’s carmakers made big promises that they would soon mass-produce cars that would emit nothing more than water vapour as exhaust. Vancouver’s Ballard and Mississauga’s Hydrogenics rode that wave of excitement, with their stock prices climbing into the hundreds of dollars. Those lofty expectations of the world’s cars running on Canadian fuel cells, however, came crashing down, along with the companies’ share prices, as the cars failed to materialize. “In the auto industry, we’re really good at selling visions of the future,” said Stephen Beatty, vice president, corporate at Toyota Canada. He said two forces conspired against the hopes of automakers вЂ” the technology wasn’t perfected, and consumers were unwilling to pay the high prices, putting the move towards hydrogen-fuelled vehicles on hold for years. But he said advancements in on-board computers, electric motors, higher-pressure systems and general cost-cutting have made fuel cell cars ready for commercial production. “I think we’re at that stage where we’re able to offer consumers a reliable and very conventional-feeling piece of technology,” said Beatty. Toyota’s Mirai fuel cell car is currently selling in California for $57,500 US, has a range of over 500 kilometres on a full tank, and fuels up in three to five minutes. 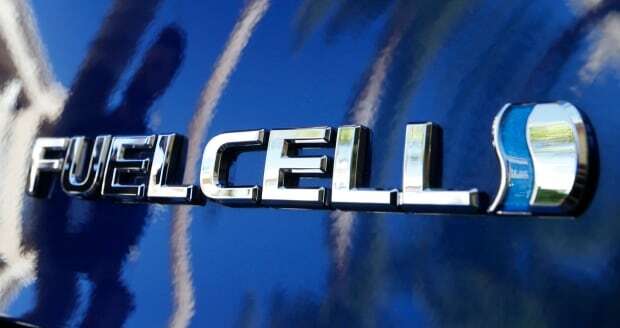 The company is betting on fuel cells as the long-term solution to an emissions-free vehicle because they offer more range, faster refuelling, better performance in the cold and overall lower costs than battery-powered cars, said Beatty. But while the company wants to bring the car to Canada, a lack of hydrogen fuelling infrastructure is an issue, he said. Hyundai has taken a different approach, last year bringing six of its Tucson SUVs to drivers living near a single hydrogen refuelling station in Surrey, B.C. And earlier this month the company, which is leasing the vehicles for $599 a month including fuel, found their first Ontario customer when Hydrogenics’ chief technology officer signed on for one. Daryl Wilson, chief executive of Hydrogenics, said the fact that someone at the company is driving to work in a fuel cell vehicle shows their time has come. And while the technology has helped make that possible, he said more environmental awareness is also helping make the shift. “Our values as a society are moving away from fossil fuels; there’s broader recognition of the impact of climate change,” said Wilson. He said Canada’s fuel cell industry has been in and out of the news as it goes through growing pains, but is emerging with global contracts and customers. “There’s been a constant steady drive to overcome the remaining obstacles to make all of this possible,” said Wilson. “Ballard and Hydrogenics have managed to go through that valley-of-death challenging experience of pioneering new technology, and today we’re, both of us, supporting customers all over the world,” he said. The fuel association’s Denhoff says that while the industry employs some 2,000 people in Canada and produces about $200 million a year in goods, almost all of it is exported. That could change with the recent federal budget setting aside $62.5 million for alternative fuelling infrastructure, including hydrogen refuelling stations. Hydrogenics has already built 50 hydrogen fuelling stations globally, and Wilson says he’s in talks to install stations in Vancouver and Toronto. But while there are some green shoots of momentum in fuel cells, auto industry analyst Dennis DesRosiers says consumers have been skeptical of the alternative fuelling options. “The most popular vehicle to this day, and is going to remain that way for decades, is conventional gasoline-fuelled vehicles,” said DesRosiers. He said the most straightforward way for people to reduce emissions is to buy a new car, since the industry has been increasing fuel efficiency by about two per cent a year, and there’s still a lot of room for improvement. “The industry was challenged to increase fuel efficiency and they’re doing it; they’re doing it with technology that consumers will buy,” said DesRosiers. An inexpensive way to start is just by replacing that paper air filter. It filters the air OK, but the small passages are very restrictive, and as dirt builds up, flow gets even worse. A typical aftermarket performance air filter has several layers of filtration material like cotton gauze, which traps dirt without restricting airflow. What’s more, aftermarket filters can be cleaned and reused, so you get increased engine power and save money to boot. But to really get an increase in airflow, you need to increase the size of the air filter. The typical conical air filter that is included with an aftermarket performance air intake is not only made of better material, it is larger and has much greater surface area than the OE filter, for much greater airflow. An economical way to get the benefits of a larger filter is with one our kits that attaches the filter to a flexible, universal intake tube, or attaches it to the factory air intake tube. The next step up to greater airflow is to replace that restrictive OE air intake tube. 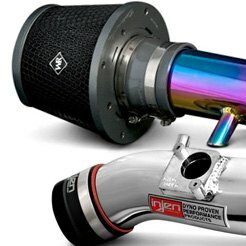 Most factory air intake tubes are constructed with the goal of keeping air intake roar to a minimum. They usually have awkward bends and have sound baffles, which may reduce noise but can also restrict airflow. 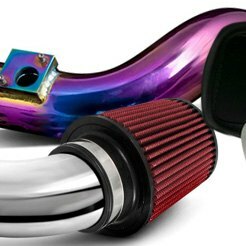 Aftermarket intake tubes are constructed from mandrel-bent aluminum or molded polyethylene, with larger diameters and smoother bends, for better airflow to the throttle body. And if you’re a hot rodder, you’ll consider the increased intake noise music to your ears when you stomp on the gas. 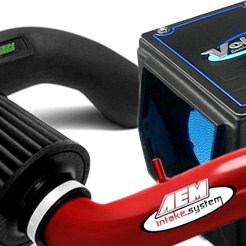 A basic performance air intake will replace the factory air box and air intake tube, and install in approximately the same location. The next step to more power is to feed the engine cooler air, which is denser and contains more oxygen, for better combustion. We offer systems that employ varying methods to shield the filter from engine heat so it can take in cooler air. Some systems have barriers that seal against the hood, to separate the filter from engine heat. We also have systems with an air box, which not only shields the filter from heat, but is much larger than the OE unit so it can hold a much larger filter. 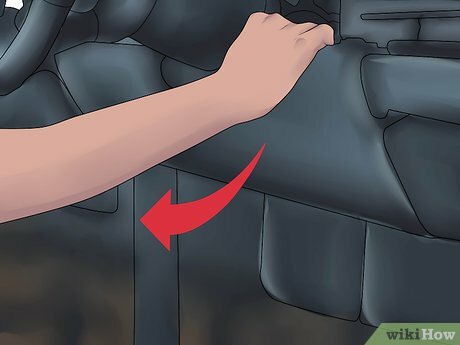 For exposure to the coldest air, some systems locate the air filter outside the engine bay, or use a scoop to funnel air to the filter. 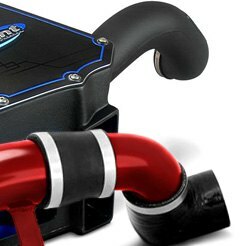 To get the most horsepower, airflow should be increased all the way to the cylinder head intake ports, and we have the performance MAF (Mass Air Flow) sensors and throttle bodies, and high performance intake manifolds to make it happen. Our MAF sensors are not only larger in diameter to pass more air, but they’re also calibrated to ensure the PCM (Powertrain Control Module) gets an accurate signal so it can properly control the air/fuel ratio. And whatever your engine’s state of tune, from mildly hopped-up street machine to an all-out track beast, we have the right size throttle bodies to increase airflow and horsepower, and provide crisp throttle response. The intake manifold is the last leg, and in some cases the most important part, of the airflow journey, where air or the air/fuel mixture from the throttle body or carburetor is distributed to the individual cylinder head intake ports. Like the OE air intake tube, factory intake manifolds can have runners that are too small in diameter, with bends and contours that are not conducive to maximum airflow. We offer manifolds developed by the top brands in the industry to have the right amount of flow and velocity to suit every type of use and horsepower level. And finally, you can reduce crankcase pressure, improve ring seal, and make more horsepower with one of our external crankcase vacuum pumps. 1/5 Scale King Motor RTR KM001 29cc Gas Buggy HPI Baja 5B SS Compatible Rovan ! Brilliant Puzzles offers huge and contiguously growing variety of high quality Wooden Puzzles, Metal Puzzles, Brain Teaser, Puzzle Boxes, and Wooden Games, that will definitely be the center of the conversation at work or home, and will be the perfect unique and special gift to your loved ones and friends, to challenge them or yourself with these cool puzzles. Car alarms are an effective way to insure your investment and give you peace of mind. While many cars come standard with some kind of alarm system, some do not. It is no surprise that many people want to install an aftermarket alarm system either because they don’t have one or because they feel that they need to upgrade. Installing a car alarm might seem like a difficult task, but with a little bit of preparation and information, it becomes nothing more than a series of small tasks. Great places to take a look at in your rental car is the beautiful sweeping sails of the Sydney Opera House and the arch of the Sydney Harbour Bridge. Standing sentinel at the eastern end of Circular Quay, the Opera House is a breathtaking spectacle with its million white tiles glinting in the sun and surrounded by the blue of the harbour. Its beauty belies its rather traumatic gestation period. The building was completed in 1973, but only after its Danish architect Jmrn Utzon resigned in protest because of economically driven changes to his plans for the building s interior. Nevertheless, the Opera House is regarded as a stunning masterpiece and one of the great buildings of the 20th century. A guided tour of the building and its theatres is highly recommended. Ask our Sydney car rental agents about any touring advise you may need. The Harbour Bridge, opened in 1932, was designed by the engineer John Bradfield and is the second longest single span bridge in the world to drive your rental car over. (New York s Bayonne Bridge wins by a matter of centimetres.) Its broad deck is 134 metres above the water and carries 8 lanes for traffic, a double-track railway, a cycle lane and a pedestrian walkway offering stunning views. Park your Sydney rental car and take the pedestrian access which is via Cumberland Street in The Rocks. The southeastern Pylon Lookout contains the Harbour Bridge Exhibition featuring old photographs of this grand Sydney icon. It also offers magnificent harbour views from its viewing platform. The more adventurous can join a guided three-hour climb to the very top of the bridge. A headset links you to your guide and you wear a safety harness. No matter what your preferred attraction, a cheap Sydney car rental deal will probably prove essential to see every thing you need to see . Most Insurance Companies will specify that your car should either have a Cat 1 or Cat 2 for the policy to insure against theft. A Category 2 (Cat 2) specifies a car immobiliser and a Category 1 (Cat 1) means a car alarm with incorporated immobiliser. These classification are set by Thatcham which is a company that tests car alarms immobilisers to determine that they reach a certain standard, they then award the systems a Cat 1 or Cat 2 status. Most Installers then became MESF (Mobile Electronics Security Federation) accredited or affiliated; a similar organisation to VSIB, which verifies it members and provides training schemes for installers. They also provide similar certificates and embossed stamps used by installers (when clamped on the paper they leave a raised impression through all copies) which shows individual installers unique accreditation number or details. We at Dragon Car Audio Security are part of the Thatcham Recognised Installer scheme, and are also part of the MESF Mobile Electronics Security Federation specialist scheme. If your car has central locking then the new alarm will be able to tag off this circuit to give remote central locking through the alarm (doors lock and unlock by pressing the button on the new alarm key fob). If your car doesn t have central locking then in most cases door motors can be fitted, but this will cost more as extra modules are used and the alarm fitting will take longer. Dual Zone Includes Single Zone but also creates an external bubble that will give a warning sound if someone comes into close contact with the vehicle – creates a deterrent for people looking through the car windows. Some diesel or high performance cars are fitted with a turbo to give the engine extra power while driving. 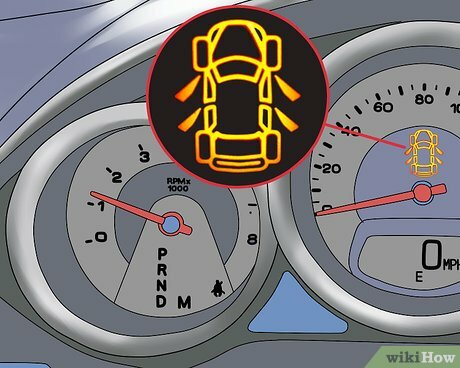 To enable the turbo to live to its full expected lifetime you should allow it to wind-down after each journey (this just means allowing the engine to remain on for a few minutes after coming to a complete stop). By fitting a turbo timer you allow the alarm to take over this chore for you. 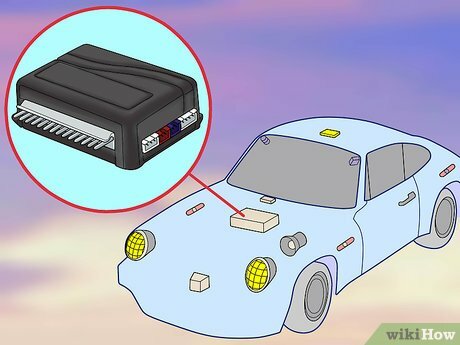 Simply press a button on the remote and then take the key out of the ignition, the engine will still be running but will automatically switch itself off after a set time. Many new vehicles come with a basic car alarm built-in, but vehicle owners in high-crime areas may want to upgrade to a more comprehensive security system, while owners of older or entry-level vehicles may want add an alarm system. Expect to pay $30-$300 for a basic car alarm that has a siren attached to the vehicle’s existing wiring system, one or two remote controls and a simple controller/brain; models at the higher end of this price range may have a back-up battery and/or more sensors than the lower-priced alarms, or a few features like a remote start or a starter immobilizer to prevent hot wiring . For example, the Viper 350 Plus 1-Way Security System 3105V with a controller, two four-button remotes, a six-tone siren, a starter immobilizer and an operating range of up to 1,500′ costs $240. Installation of a basic car alarm typically costs another $50-$200 or more, depending on the complexity of the system and the ease of access inside the vehicle’s dash, bringing the total cost to $80-$500. For example, Best Buy charges $150 for the Avital 3100L Security System with Geek Squad Installation ; this package includes a 6-tone siren, two 3-button remote controls, keyless entry, a 1,500′ range and a warn-away (initial low-level response) feature. 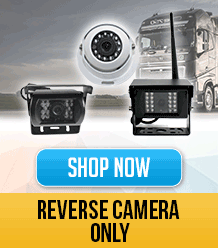 It typically costs $300-$850 or more for an advanced vehicle security system that has a greater number and more varied range of sensors, a sophisticated computer controller, a wider range of effectiveness and options such as a camera or a remote ignition starter, or the capacity to disable the ignition starter or cut off the gas supply if an intruder is detected. For example, the top-of-the-line Viper 5904 Responder HD SuperCode SST 2-Way Vehicle Security and Remote Start System with a one-mile range, upgraded user interface, mini-USB charging port and keychain remote costs $800. Installation of an advanced car security system can cost $100-$450 or more, depending on the complexity, the ease of access for the make and model of vehicle, and labor rates (as a general rule, labor costs more on a luxury, high-end vehicle than on a lower-priced standard sedan). Total costs for having an advanced system professionally installed can be $400-$1,300 or more. Installing a car alarm requires basic electronics knowledge, the right tools (good crimpers and strippers, a soldering iron, a drill and bits, a voltmeter, etc. 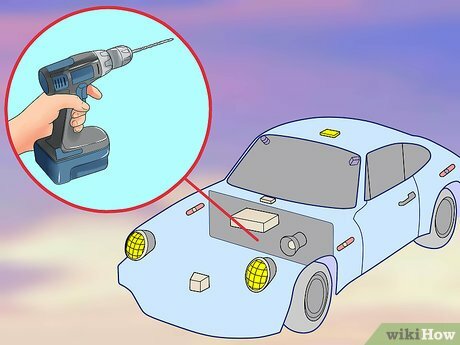 ), the ability to correctly take apart and reassemble the vehicle’s dash, the patience to exactly follow detailed instructions while in uncomfortable positions in tight spaces, and the proper wiring schematic for the vehicle. An advanced security system requires intensive wiring and must be properly integrated with the vehicle’s entire electrical system. Do-it-yourself installation to save labor charges is possible, but can be difficult. 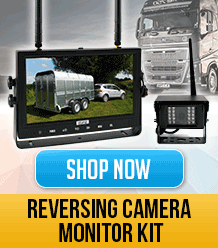 For determined do-it-yourselfers, Crutchfield has do-it-yourself instructions and Motorz TV provides a video overview . If the goal is to deter break-ins, a basic alarm may be enough. If the objective is to protect items inside the vehicle, it could be better to get a more advanced system designed to monitor all possible points of entry, or one that can be expanded to include additional sensors. An eBay guide explains how to choose a car alarm . Car alarm systems are sold and installed by retailers like Best Buy , Sears or Walmart ; or sold by online retailers like Amazon . The shop should post all its policies (labor rates, guarantees, payment methods, etc.). Ask if they specialize in this particular type of vehicle, and look for certificates of advanced course work or other training. Check for any complaints with the Better Business Bureau . For more than 20 Years The Auto Channel continues to follow its editorial policy and publish professionally written “expert-only” car and truck reviews augmented by complete easy to compare specs, in-depth brand data and competitive and prior model year comparison tools. These research assets have and continue to empower our readers to make good purchase decisions of new and used cars and trucks. The Auto Channel, the most copied automotive information site publishes our reviews and news articles on a single page, unlike many other auto web sites that divide their auto reviews into multiple pages in order to count larger audience numbers, we don’t. Happily the days of car buyers making a really bad decision concerning the quality of the vehicle they buy are long over. Today even entry level models have robust warranties, are manufactured using quality production techniques, and look good. But with thousands of purchase choices and changing criteria, the task of narrowing down a short list of vehicles that really meet your everyday driving needs can be daunting. To help buyers we have created PERFECT NEW CAR MATCH, an exclusive helpful research tool. Compare, and rank and discover. The Auto Channel believes that the more unbiased vehicle research data available, the more power shoppers have, the righter your automotive purchase will be. But knowing data is only one part of the purchase equation, don t skimp on the time you are allotting to schedule in-depth no shortcut test drives of every vehicle on your consideration for purchase list. Make sure to use the free MY TEST DRIVES tool to keep all of your test drive results straight. After you have made your final purchase decision, follow The Auto Channel s 4 Easy Steps to Become a Smarter Car Buyer. Many of these new safety features are not yet standardized. 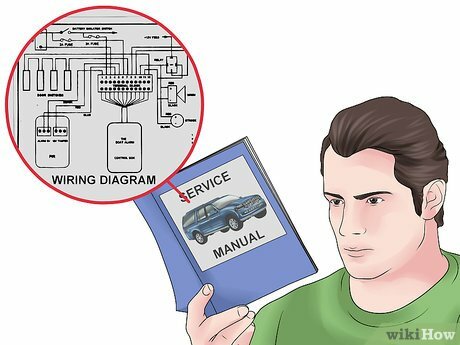 Your car s features may be different than someone else s. Be sure to check your owner s manual to best understand how your car works. You can also check out the Research & Blog section for the latest developments in car safety technology. If you want the best advice from a company with 20+ years experience in the industry youвЂ™ve come to the right place. Pro Vision Lighting Electrical, (Arco Imports Pty Ltd), has been around since the beginning of LED (Light Emitting Diode) вЂ“ technology for the automotive and industrial industries вЂ“ and we can give you unbiased information about choosing the best product for your individual needs. 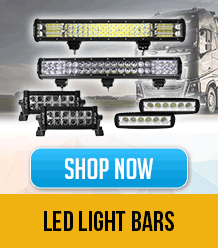 There are a few aspects to go over before selecting an LED spotlight or LED driving light for your 4WD, truck, car, machine, boat, or other vehicle. Listed below are a few things to consider to ensure you get the best product for your needs. We also guarantee all our driving lights with a 5 year warranty as an assurance of high quality and superior performance. LED VS HID VS HALOGEN. Halogen will give you around 350hrs of life, HID around 3500hrs and LED 35,000 to 50, 000hrs of life. This means LED is low maintenance, and if you get a quality set, they will last for years. In terms of brightness, LED has come a long way, and from our experience, clients usually want 400-600mtrs of distance, and enough spread to spot those critters who like to jump in front of cars. Most medium range to high range LED driving lights will give you this distance, all our 140w to 320w LED driving lights will give you this plus performance. WHATS THE DIFFERENCE BETWEEN SPOT, PENCIL, FLOOD, WIDE BEAM, EURO BEAM, DRIVING BEAMS, COMBINATION BEAM? I know this sounds like a dumb question, but in today’s market, this can become confusing when youвЂ™re trying to make an informed decision. Most LED Driving Lights are a combination beam of distance and width, or between 15В° to 30В° in the one light. Most of the вЂњFloodвЂќ beam, wide beam, spread beam in LED use a corrugated PMMA lens cover and give you a 45В° to 65В° variance. These flood covers come as free extras when you buy our 140w driving light, and the 320w driving light. The latest lenses are either an optical lens, a parabolic reflector, or a Hybrid optical + parabolic reflector all-in-one (our 320w is a Hybrid). 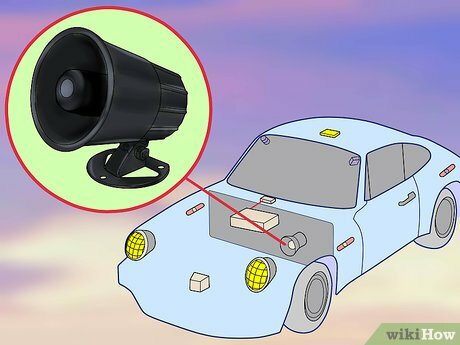 An optical lens will give you a tighter beam and more distance, and slightly limit light efficacy, or how much light gets through the lens and onto the road. A deeper dish parabolic lens (open reflector cup style) will also give you a long distance + width. There are only 5 lights that I would recommend as a Mid to High Range Spot/Driving Light. 1. 7вЂќ 65w Cannon. 1x Very Deep Dish Parabolic Reflector. 1 Lux @ 500m (15В° Tight Concentrated Beam). 2. 7вЂќ 135w. 9x 15W CREE LEDвЂ™s in a Deep Dish Parabolic Reflector. 1 Lux @ 500m (Spot Beam with some wash to the sides). These also come with clear covers with a partial flood lens corrugation to add width when off-road. 3. 7вЂќ 140w. 28x 5w High Intensity CREE XTE LED’s in a Deep Dish Parabolic Reflector. (Spot Beam with some wash to the sides). 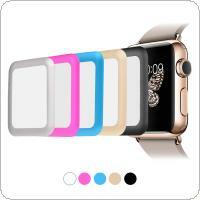 These come with a free set of clear covers + a free set of 45В° flood covers. Spot + Flood Beam for distance and width. 1 Lux @ 600m. 4. 9вЂќ 180w. 12x 15W CREE LEDвЂ™s in a Deep Dish Parabolic Reflector. 1 Lux @ 600m (Spot Beam with some wash to the sides). These also come with clear covers with a partial flood lens corrugation. 5. 9вЂќ 320w. 32x 10W CREE XM-L2 LEDвЂ™вЂ™s in a Hybrid Deep Dish Parabolic Reflector + Optical Lens. 1 Lux @ 800m. Spot + Flood Beam for distance and width. These come with a free set of clear covers + a free set of 45В° flood covers. One other thing. They type of LED that is used has a significant part to play in how it reacts to that particular lens. For example, some LED chips are flat, and some are an optical lens, our LED driving lights use a combination of advanced lens engineering to suit the LED chip that is used in them and give you the best outcome for each driving light size, type, and style. IP67 or IP68 WEATHERPROOF DRIVING LIGHTS. All of our LED driving lamps are tested for high vibratory applications and maximum water and dust protection. 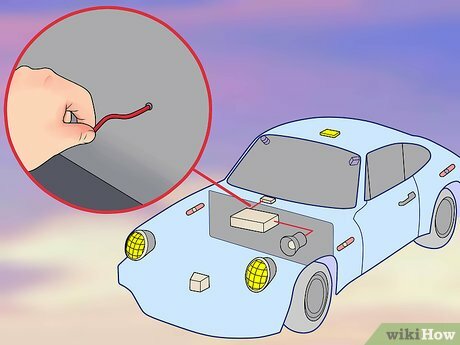 If you don’t get a high quality driving light, they can literally rattle and shake apart internally and externally, and water and dust can get into the lights and cause corrosion. 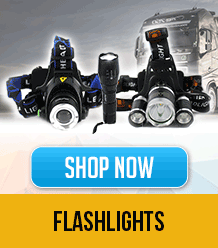 The Pro Vision LED Driving Lights are protected against invasion of water from high pressure hoses and have an IP rating of IP67 and IP68 which is the highest ingress rating for general off-road lighting needs, and have the ability to be submerged in water over up to, and over, 1mtr in depth. The IP67 and IP68 rating also protects the lights in high dust areas and they all carry a 5 year warranty for your peace of mind. 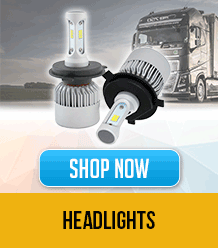 CREE, PHILIPS, and BRIDGELUX SPOT LIGHTS FOR CARS AND 4WD’S. The type of LED used in spot and driving lights is important as they must produce a high brightness and be able to stand the test of time. 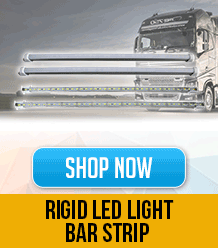 We use the USA made CREE and Bridgelux LED’s and the Philips LED’s in our spot and driving lights as they can be driven hard to produce the most amount of light, and are manufactured to be able to stand high temperatures for long periods of time. 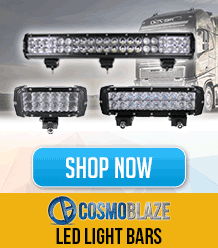 6000k or 4300k LED DRIVING LIGHTS. 24v and 12v LED SPOT LIGHTS for CARS, TRUCKS, FARMING MACHINERY, MINING EQUIPMENT, AND BOATS. 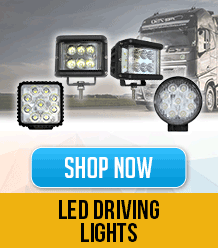 12v and 24v compatibility driving lamps are standard across the entire range. 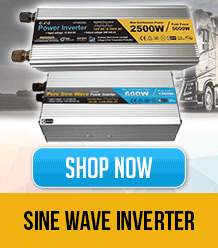 This ensures that the lights have the versatility of being able to be fitted on both 12 volt and 24 volt applications. 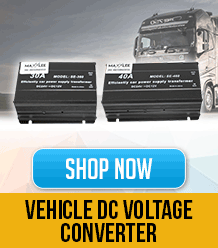 The Pro Vision range are a multi-volt 12v/24v compatible lights for most cars, trucks, motorcycles, tractors, mining machinery, and boating applications. PLEASE READ : It is necessary that you register for full and unlimited access to the inventory of vehicles that we offer. Registration is very quick and simple. Register now to buy vehicles and receive our services as listed below. And remember, we’ve been selling salvage cars since 1976 and we stand behind all of our services with a 100% Money-Back Guarantee. 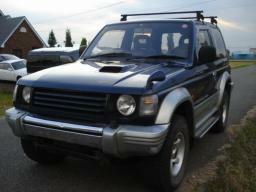 We are the leading source for repairable salvage vehicles, old classic project cars and fixer uppers. 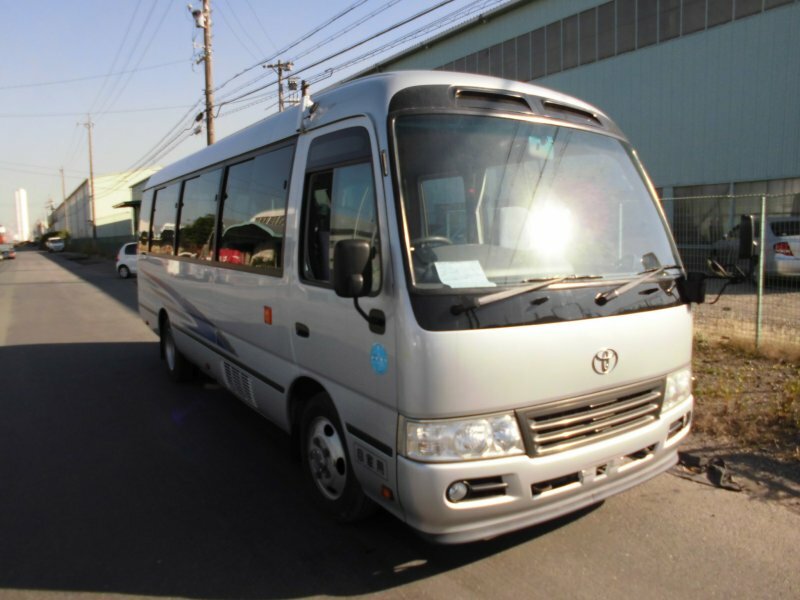 The vehicles listed on this website are just a few examples of the cars currently for sale. Register now to buy deeply discounted vehicles from an inventory of more than 8,000 rebuildable salvage cars, trucks, motorcycles, airplanes, atvs, boats, rvs, jet skis, snow mobiles, industrial vehicles, tractors, forklifts, semi trucks and old project cars in stock for sale. 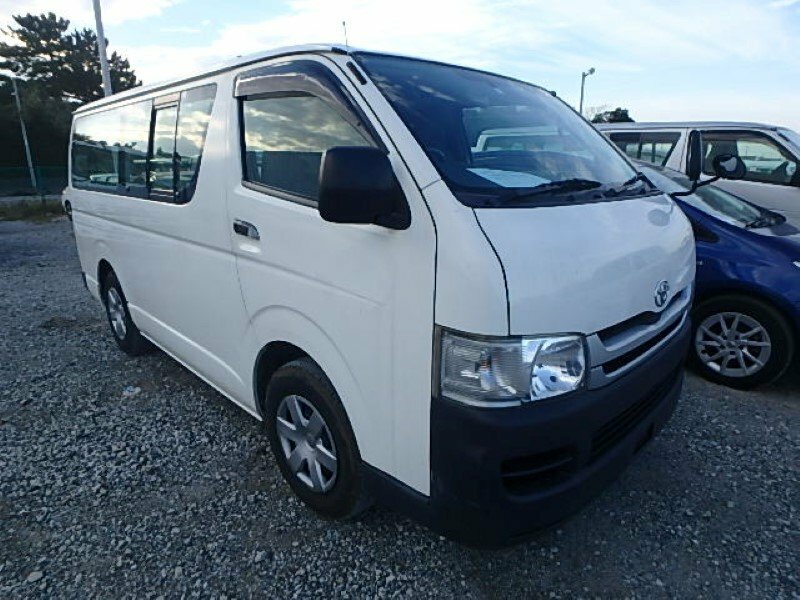 We provide an Inventory Database containing at least 8,000 salvage vehicles currently for sale. 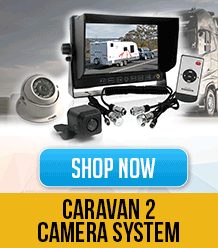 Inspect and buy these vehicles in-person from a network of inventory outlets that have been set up at convenient locations across the USA and select cities in Canada or review and purchase vehicles online with delivery available to any location worldwide. No special licenses needed to buy and the vehicles are sold with titles. Financing is available on multiple car purchases. Trade-ins may be accepted in some situations. NOTE: We’ve been in business since 1976 and we back all our services with a 100% Money-Back Guarantee. Choose from more than 8,000 easy to repair salvage vehicles currently for sale and listed in an Inventory Database. The inventory listings are updated hourly in the Inventory Database . 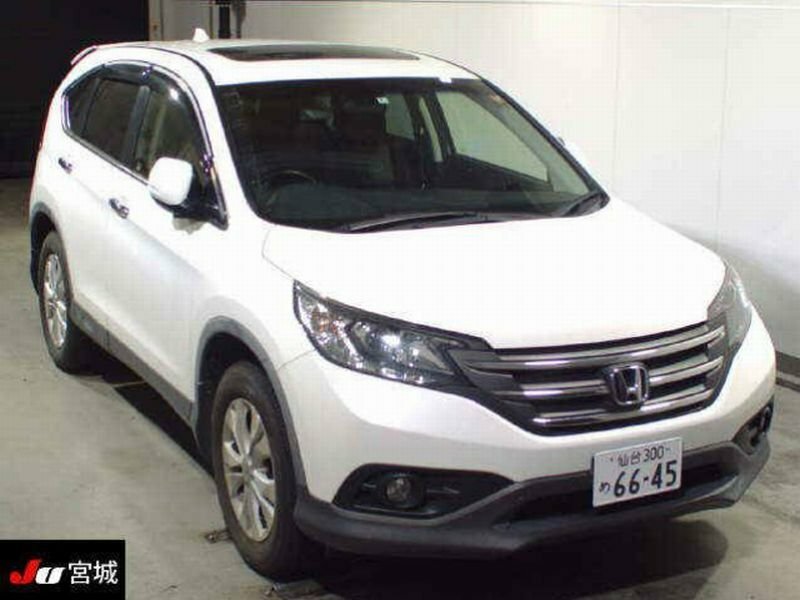 Vehicle information includes 10 photos, a description of condition, list of options, location, VIN, make/model, year, mileage, repair estimate and verification if it starts and drives. Inspect and purchase these vehicles in-person or online using credit card, check, cash, PayPal, bank draft or bank wire transfer. 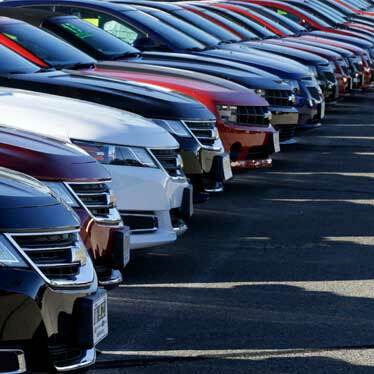 Specialty and Government Seized Vehicle Inventory – In addition to the inventory of salvage vehicles we offer, we also provide a large selection of repo cars direct from various banks and financial institutions. 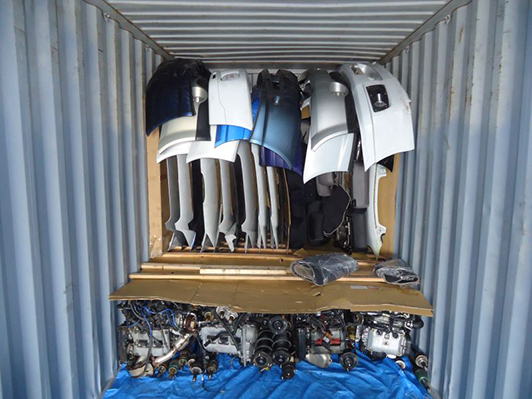 And choose from a vast variety of seized, impounded and confiscated vehicles, boats and aircraft that come from the IRS, US Customs, US Marshalls Service, Border Patrol Service and Law Enforcement Agencies plus a large quantity of unique government surplus and fleet vehicles for sale at genuine bargain prices. Receive email notifications of the inventory as it becomes available. Your vehicle’s own website – We provide an exclusive internet link-up to auto manufacturer’s service departments. Recall alerts notices specific to your vehicle are sent direct to your exclusive website and special pricing notices on services and parts from local dealers and discount coupons. Reminders sent when services are due, indicating what needs done and the cost. Plus reminders of your license renewals warranty expirations. Schedule service appointments online. A single place to find and maintain your vehicle’s service history. 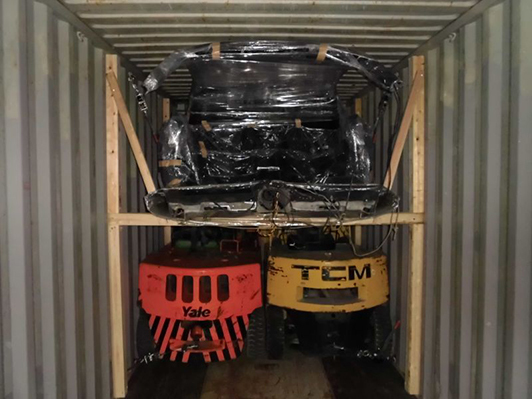 Auto Transporting and Customs Brokerage services – We provide licensed, bonded and insured auto transport companies that specialize in delivering salvage vehicles at the best rates and expert Customs Brokerage services for worldwide automobile exporting. 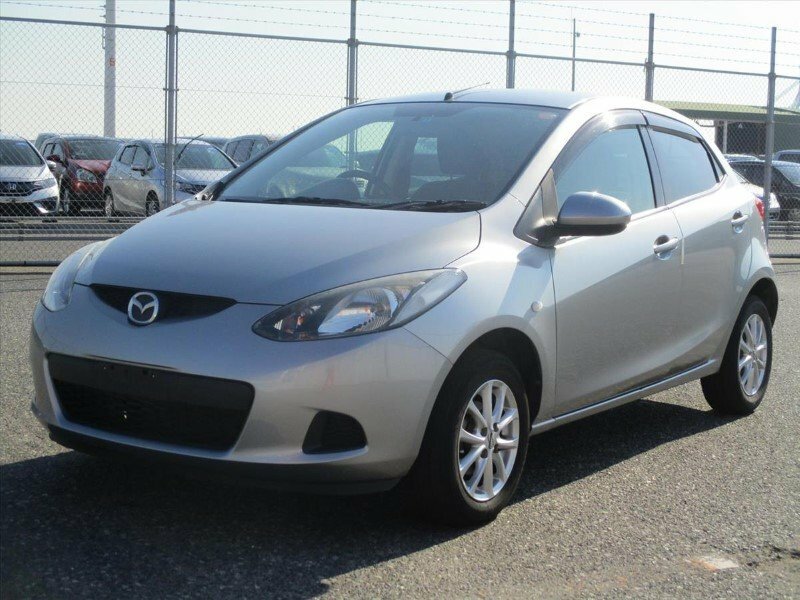 Sell your car – We have the perfect solution for anyone with a vehicle they want to trade-in or sell. Quickly receive full market value for your vehicle. 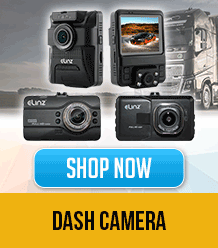 Fast cash paid for any type of motorized vehicle in any condition or age. 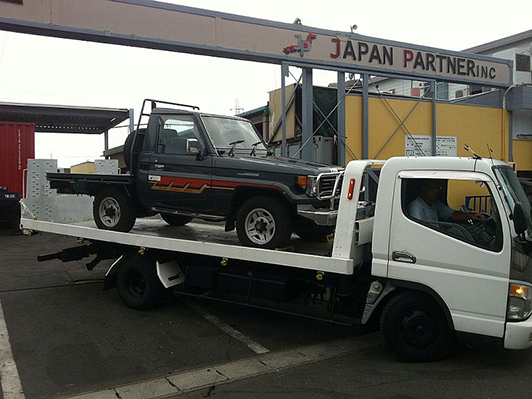 If your vehicle is non-running a truck can be sent to pick it up from most any location. Register now to quickly sell your vehicle regardless of its condition and receive a full market value price – guaranteed. 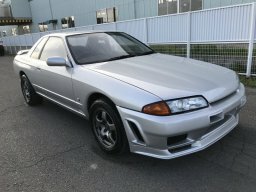 Brand New Inventory Feature – We have just added a new line of inventory, we now provide a unique and exceptionally large selection of special classic, collectible, vintage sport cars and motorcycles to include competition race cars. 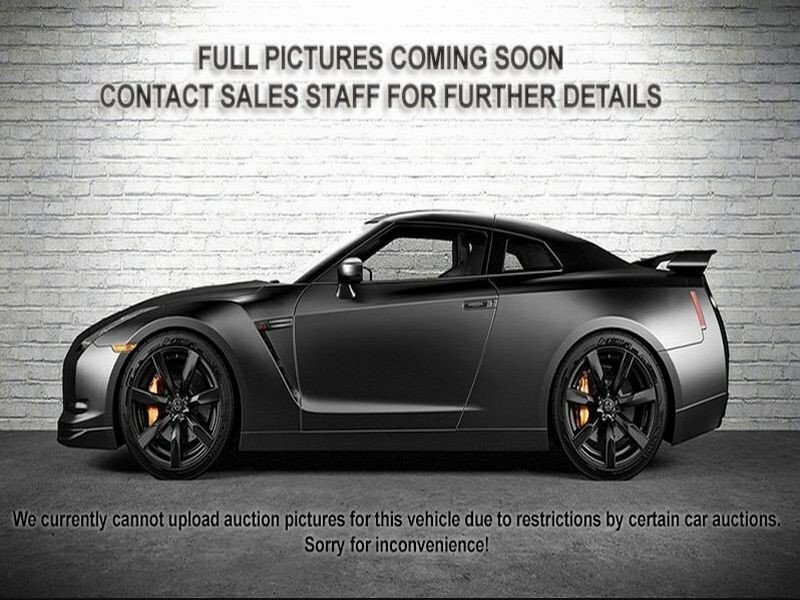 A very wide ranging selection of prestige and connoisseur vehicles from around the world. 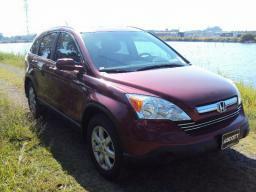 The vehicles in this inventory group are non-damaged, pristine condition autos and motorcycles. Receive immediate email notification of inventory updates. 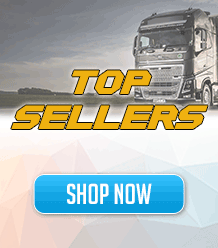 We are the leading source of repairable salvage autos – more than 8,000 vehicles in stock for sale. 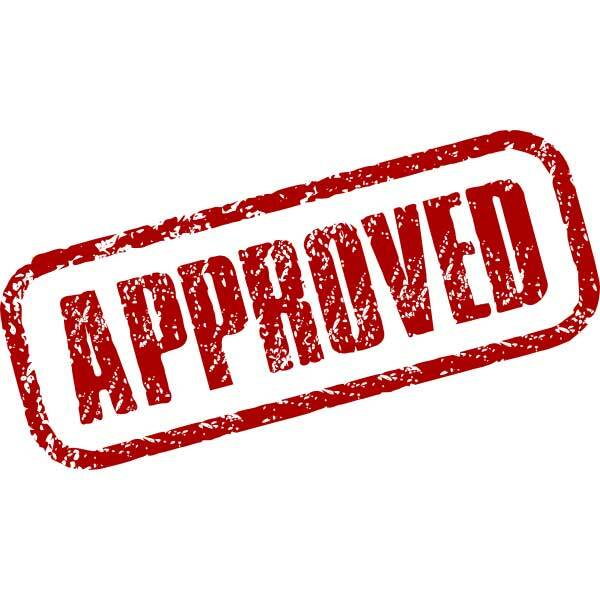 Vehicles are sold with titles – Pay with check, credit card, PayPal, cash, bank draft or wire transfer. Sometimes we take our cars for granted but all cars run on a battery and they don’t last for ever. 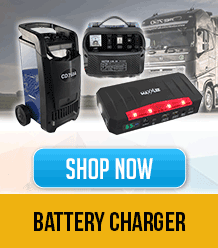 But you can give them a longer life with a car battery charger, saving you money and time. Although we all love the gadgets on our cars, such as immobilisers, they really take their toll on your cars battery, even if it’s just parked on your drive. 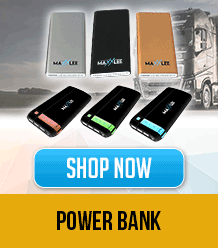 Take a mooch around our site at our range of car chargers, from more budget Halfords’ car battery chargers, to the Solar chargers, Ring car battery chargers, or CTEK charger for those of you who want to give your battery a burst of life a bit more often. Don’t forget you can reserve your car battery via Click and Collect. Just order online and collect in store. It’s that easy! Wells Fargo Co. charged hundreds of thousands of auto-loan borrowers for insurance they did not ask for or need, in some cases causing those customers’ cars to be repossessed — the latest in a long list of bad practices for which the bank is trying to atone. An internal bank investigation spurred by customer complaints found that, between 2012 and 2017, about 570,000 borrowers may have been wrongly pushed into these auto insurance policies, the San Francisco bank said in a news release. Wells Fargo plans to give them $80 million in refunds and compensation. The issue centers on so-called collateral-protection insurance policies, which are similar to auto insurance policies commonly taken out by vehicle owners to cover costs of damage to their vehicles. Wells Fargo and other lenders typically require that auto-loan customers have such policies. Some lenders will buy a policy on customers’ behalf and pass along the cost if customers do not show they have secured their own auto insurance coverage. In this case, though, Wells Fargo acknowledged that it improperly bought such policies on behalf of customers who already had their own insurance, and sometimes failed to properly notify those customers that it was doing so. Wells Fargo said it began a review of the insurance policies in July of last year and stopped issuing the policies in September. 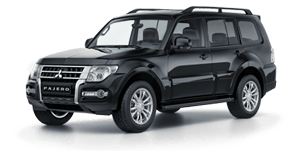 Credit Unions are one of the best places to search if you are looking for repossessed cars in Alabama or bank repos in Alabama. As well as public auto auctions held by federal government and police departments, these can prove quite fruitful if you are prepared to hunt around for a while. If you can, make sure you visit the place where the vehicles are being kept in order to inspect them. This is usually allowed, but it is not so often allowed that you are actually allowed to test them out. Take somebody with you that has a good eye for mechanics and a deal. 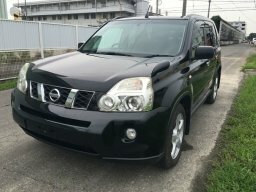 Research the cars and prices, mileage etc. using the NADA and Kelley Blue Book guides. 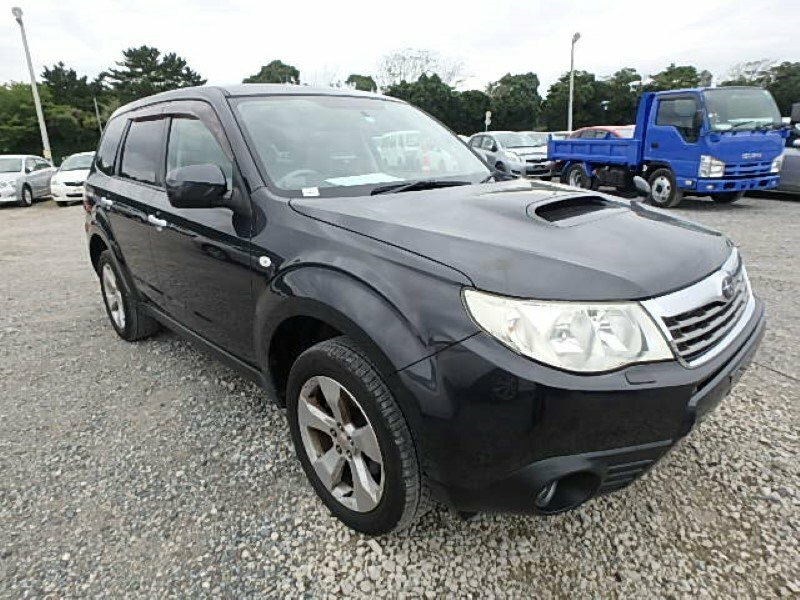 Remember that you are not the only one onto these vehicles, and to get a great deal on a car will usually mean having a winning bid accepted either at public auction or in a sealed bid. Of course, other dealers and members of the public are wise to these repo sales so it may take a few tries but you are likely to hit the jackpot if you persist. It s always a good idea to strike up a good relationship with the credit union staff who deal with the repossessed sales and foreclosures. You may be able to get placed on a mailing list in order to be kept up to date with the kinds of vehicles coming in and when they are likely to be put up for sale. I have made a list below of some of the Credit Unions that sell off repossessed cars in Alabama. I hope this will get you started on your hunt. Keep looking around online for more, or if you don t have the time to pursue this, you could sign up to one of the small fee membership sites that provide databases full of up-to-date info on car auctions near you. Try this site which has one of the best reputations online for getting up-to-date info on live public auctions and they give away a free 5 day auction guide. Anyway Happy Hunting and remember Be Persistent! Check back soon for more updates! 2007 Kawasaki Road/ Street VN1600D7F Vulcan Nomad with 12,728 miles The low retail $5,360 and Average Retail $7,050. 2001 Toyota Tacoma Xtra Cab with 147,955 miles The Rough Trade-In $6,325 Average Trade-In $7,325, Clean Trade-In $8,125, Clean Retail $10,750. Black Book provides pricing information about new and used car, truck, and recreational vehicle pricing. 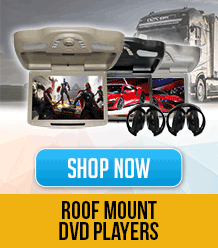 Dealer invoice and Manufacturers Suggested Retail Price (MSRP) values are updated weekly. 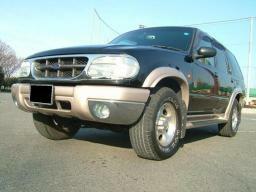 All used vehicle guides provide loan values for finance purposes. Find MSRP values for new cars, vans, trucks, and SUVs. Find values for used cars, vans, trucks, and SUVs. 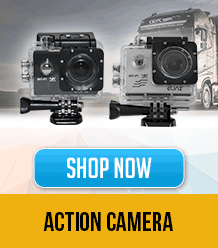 Find values for watercraft, motorcycles, four wheelers, and snowmobiles. The Investment Professionals of Think Financial Planning are Registered Representatives and Investment Adviser Representatives with/and offer Securities and Advisory Services through Commonwealth Financial Network, Member FINRA/SIPC, a Registered Investment Adviser. Fixed insurance products and services offered by CES Insurance Agency. Investments are not FDIC insured, not bank guaranteed, not insured by any federal agency and may lose value. Check the background of this firm on FINRA’s BrokerCheck. Think Financial Planning is headquartered at 5200 Members Pkwy NW, Rochester, MN 55901. 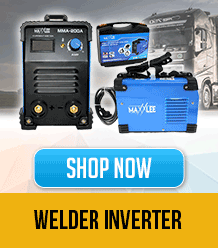 This information is provided for new customers who live or work in Minnesota, and for existing customers residing in the states of AR, AZ, CA, CO, FL, GA, IL, IN, IA, KS, KY, MA, MD, MI, MN, MO, MT, NE, NM, NV, NY, ND, NC, OH, PA, SD, TN, TX, UT, VA, WA, WI, WY. No offers may be made or accepted from any resident outside of these states due to various state regulations and registration requirements regarding investment products and services. For over 50 years, kids have spent their summer afternoons playing with toy cars sporting the Matchbox or Hot Wheels logos. As these kids grow up and are looking to recapture some of that childhood bliss, they wind up paying a pretty penny for cars that once went for small change. Here are five examples. Started in 1953 by the British company Lesney Products, the Matchbox line of toy cars lived up to their name, as they were designed to fit inside a matchbox so kids could take them to school. Due to their longevity in the market, there are plenty of devoted fans who still collect these small-scale vehicles today. And some of these fans are willing to pay as much for a car that fits in a matchbox as they are for one that fits in a garage. When Matchbox released their “No. 30″ car in 1961, a crane truck whose full-sized counterpart was built by German manufacturer Magirus Deutz, it came with a silver body and an orange crane. Before it was discontinued in 1965, there were as many as 27 variations of the truck, ranging from the type of rivets used to a smooth or bumpy cover on the bottom. Depending on the variation, the value can fall anywhere between $30 – $100. But unless you’re a collector, you’d probably never know the difference from one car to the next. There is one variant that just about anyone would notice, but trucks with that variant are nearly impossible to find. Instead of the standard silver body and orange crane, a handful of pre-production models were light brown and had either a red or an orange crane. Because this color scheme is extremely rare, it demands a high price from collectors. In the 1980s, collector Charlie Mack purchased a brown No. 30 at a neighbor’s garage sale for $10. Three years later, he sold it at auction for $10,000. In 2004, Jim Gallegos, whose 35,000 car collection is worth over $1.4 million, purchased a brown No. 30 crane for $13,000. Considering the original price for the toy would have been less than 50 cents, that’s quite a nice return on investment. Before Lesney Products’ Matchbox line really took off, the company considered manufacturing larger model cars and trucks called the “Major Scale” collection. While a normal Matchbox car is around 2″ long, the Major Scale models would have been closer to 10 or 11″. As a proof of concept in 1954, a handful of Major Scale prototype dump trucks were personally made by chief model maker Ken Wetton. However, right about that time is when the smaller vehicles started to become popular, so the idea for larger versions was abandoned. Over the years, the other prototype trucks were lost, but one remained in the Lesney offices as a souvenir. That truck is believed to be the only prototype left, as well as the only surviving example of work that can be directly attributed to Ken Wetton. Because of the sentimental value to the company, it was thought the truck would never be sold, making it truly the Holy Grail of Matchbox enthusiasts. Therefore, it came as quite a surprise when, in the mid-1980s, word spread that the truck had been purchased by a relatively unknown collector out of Japan, Takuo Yoshise. In March of 2010, Takuo Yoshise decided it was time to pass on his coveted treasure to someone else. The truck was put up for auction at a collector convention in England and wound up going for $15,000, making it the largest sum ever paid for a Matchbox car. In 1968, toy company Mattel released a line of miniature cars that took their inspiration from the “Kustom Kar Kulture” that was popular in California. The initial line, now known as the “Sweet 16,” offered muscle cars and forward-thinking concept cars, decked out in “Spectraflame” paint jobs that were far removed from the colors you’d see on the real-life showroom floor. To highlight their roots, the little vehicles sported miniature red-rimmed tires, called “Redlines”, modeled after the kind that were popular on the real Kustom Kars of the time. Thanks to their novel approach to the toy line, Hot Wheels were an instant success and are still incredibly popular with collectors today. One of the original Sweet 16 cars was based on the 1963 show car, The Beatnik Bandit. The car, a futuristic, fiberglass two-seater with a see-through Plexiglass bubble top, was designed and built by none other than Ed “Big Daddy” Roth, one of the most famous car customizers, best-known for creating the counter-culture cartoon character Rat Fink. The toy Bandit, like all Sweet 16 cars, was produced in a variety of bright, metallic colors. Some, like red, blue, green, and orange, were more common than others. But the rarest of all was hot pink. The hot pink was introduced to the Hot Wheels line shortly after they were first released, in an effort to get girls interested in toy cars. It didn’t work, so the color was discontinued, making these cars very rare today. So rare that a “loose” (meaning it was not in its original package) hot pink Bandit sold for $7,070 in 2004. Four years later, a MIB (Mint In Box) hot pink Bandit sold on eBay for $15,250. Hot Wheels fans will always remember the orange, snap-together racetracks used to create their own racecourse through the kitchen. Making sure that every car runs smoothly on the tracks has always been a concern for Mattel, even today. In 1969, Mattel had to go back to the drawing board more than once to get a newly-designed Volkswagen van called “The Beach Bomb” to fit properly on the tracks. The van, featuring two surfboards that stuck out the back window, was too narrow to run down the track without bumping off the sides, nor could it fit inside a motorized propulsion unit that was sold separately. After 16 prototypes had been created, the engineers came up with a radical redesign that placed the surfboards on each side of the vehicle, in special stowaway compartments. Not only was this a more off-the-wall car, but it also made the vehicle wider so it would fit on the racetrack. The new design might have fixed the problem, but that has only made the too-skinny Beach Bomb prototypes all the more desirable to Hot Wheels collectors. People go crazy whenever a new rear-loading Beach Bomb comes on the market, regardless of color or condition. Top of the line examples routinely selling for $15,000 or more. But there is one Beach Bomb out there that could be considered the holiest of Holy Grails ““ a hot pink, rear-loading Beach Bomb. Collector Chris Marshall bought the only known copy of the car from a former Mattel engineer in 1998, as part of a $9,000 purchase of 250 cars, including 25 prototypes. He turned around and sold the hot pink Bomb a year later to big-time collector Bruce Pascal for a cool $72,000. Marshall sold his little car and bought a big one ““ a brand-new Dodge Viper. Pascal took his pink prototype on the road, visiting Hot Wheels conventions and lending it to automobile museums for the world to see. While there’s always a chance another hot pink Beach Bomb prototype could appear, there is one Hot Wheels car that is guaranteed to be the one and only model ever produced. It was customized by “jeweler to the stars” Jason of Beverly Hills in 2008 to commemorate Hot Wheels’ 40th Anniversary and the production of car number 4,000,000,000 (yes, four billion) in the Hot Wheels line. The special-edition car was cast in 18-karat white gold, then covered in 1,388 blue diamonds, 988 black diamonds, 319 white diamonds, and 8 rubies, for a total of nearly 23 carats of precious gems worth $140,000. The showpiece came in a custom display case embedded with an additional 40 white diamonds ““ one for each year of the toy line’s history. The diamond-studded car and display case were put up as part of a charity auction for Big Brothers Big Sisters. While the gems might have been worth $140,000, the car only sold for $60,000. Quite a bargain. What was your favorite Hot Wheels or Matchbox car when you were a kid? What’s the highest price you’ve ever paid to get back a piece of your childhood? Tell us about it in the comments below! Contact our support team for help with any issues regarding your order and technical issues. Delivered to your door in 1-2 days. All orders are sent using an Express 1 to 2 Business Day delivery service to UK mainland addresses if ordered before 2pm Mon to Fri. Alloy Assault use Protx to securely process online payments. Our checkout is encrypted using 128-bit SSL certificates. The Oxygen O-Car is a revolutionary step in car stereo’s. Your iPhone doesn’t just connect to the stereo, it BECOMES the stereo! Click below for more info and demo’s. The 275 is an entry level CD Tuner packed with features including Super Bright LED display, AM/FM tuner with 24 presets and one touch memory store. Better than this, it comes with a port for USB, a port for SD and an Aux port! Welcome to Car Audio Plus. Car Audio Plus UK experts for Car Audio, Car Stereo & In Car Entertainment products including CD & MP3 Stereos, Installation Accessories and iPod Portable & MP3 Car Kits, from UK’s Leading Brands backed by a No-Risk 30 Day Money Back Guarantee with Express Delivery to UK and Europe. Trusted by 1000’s of UK Customers, In-Car Installers, Car Dealers & Motor Traders. 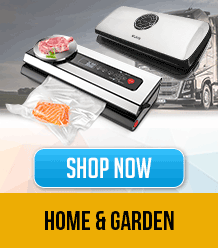 Click the Categories on the left to view products. 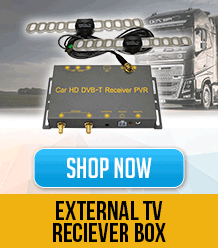 UK s Leading Brand Car Audio, Car Stereo In Car Entertainment products Saving You Up to 47% off High Street Prices – Backed by a RISK-FREE 30 Day Money Back Guarantee Delivered to your Door by Express Courier in 1-2 Days! View the latest 2011 Car Audio, Car Stereo In Car Entertainment Products Audio System including but not limited to the New Oxygen O-Car, iPod Car Adapters Car Kits, Dashmount Brackets, USB, CD MP3 Stereos and CD Changers, Installation Accessories, Parking Sensors, plus lots more all from the UK s leading brands including: Dension, Connects2, Dashmount, Alpine, Autoleads, Kenwood, Pioneer Sony, etc. All Car Audio Plus products are UK specification and come Direct from manufacturer sources in the UK and are delivered to your door in 1-2 Days. 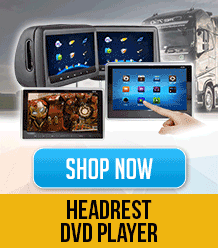 Car Audio Plus offers you Car Stereos at discount prices. 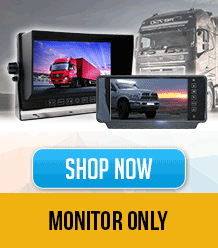 Find the latest CD & MP3 Players, DAB Digital Radios, DVD Stereos, iPod & USB Ready Stereos from the UK’s leading brands including Alpine, JVC, Kenwood, Pioneer & Sony. Car Audio Plus offers you a choice of the best DAB car stereos on the market. Select from the very best car radios DAB has to offer to receive full a digital signal and all the radio stations you can listen too. Car Audio Plus offers you the best Car Audio Brands at discount prices. Car Audio Plus offers Car Audio from leading brands like Fusion, Rockford Fosgate, Cerwin Vega & Diamond at discount prices. Car Stereos: We offer all the Leading brand car stereos including CD, MP3, USB iPod Ready Stereo from leading brands Alpine, Beat, Kenwood, Sony, etc. 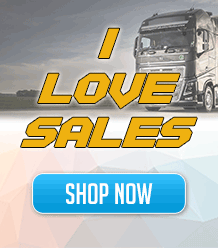 DAB Car Radios: Why should we buy DAB? well, aside from the 1000 s of extra channels, crystal clear reception and fantastic audio quality. These are soon to be the most popular selling car stereos in the market. Especially when the analogue broadcast signal is switched off. Installation Accessories: Install your new car stereo easily with Autoleads plug n play vehicle specific accessories. Extensive range of Harness, Fascia and Aerial Adpaters, etc. Car Radio Installation Tools: Car Radio Removal release keys and car installation tools remove the most stubborn of car radios. Available for popular radios from Audi to VW. iPod Portable MP3: iPod Car Kits and Sony NW-HD Car Kits for car radios Fitted at the Factory, typically badged with the manufacturers name such as Audi, BMW, etc and known as a Factory Fitted option. Car Parking Sensors: Take the Risk out of parking and reversing with Easy Fit, 100% reliable car parking sensors designed to help make your driving safer and more comfortable. 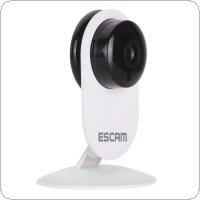 Car Phone Accessories: Car Phone Kits Installation Accessories for leading brands Nokia, Parrot Sony Ericsson. 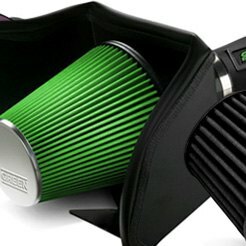 Car Speakers: Complete range of high performance speakers will improve any sound system. Choose form Components sets to Full Range for the complete sound on the move. Oxygen O Car: The Newly Released stereo has been pushed to the forefront of iPhone Integration. The New Breakthrough is an indication of things to come. 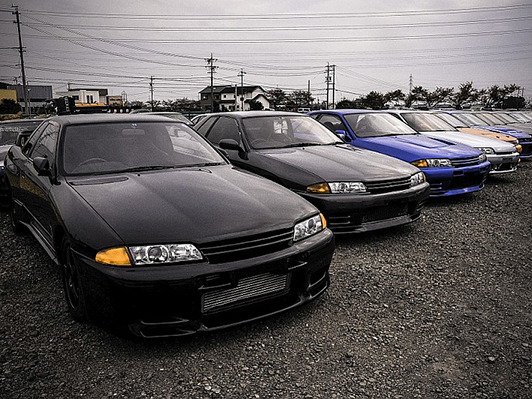 Good Car Audio is a must, but so is good car insurance! We want our customers to be covered if anything happens. Swinton Car Insurance is the best around! The progress in the automotive industry was seen in making the next car model better than the last one. Today, car manufacturers are trying something completely different, and Volvo is succeeding at it with their new Volvo XC60. Volvos were traditionally cars of people who were independent-minded and iconoclastic enough to drive something different than the cars from Germany and Japan. Known as cars for smart people, they were vehicl. Taking proper care of your car should be your own responsibility, but a lot of people are not taking it seriously. It doesn t matter if you are going to DIY or take your car to the mechanic, regular oil changes, tyre inspections, and some other checkups are absolutely necessary. Back in the day, all these inspections could be done by yourself, but today`s cars are a lot more sophisticated and there are things you shouldn t mess. For many people, a car is simply a tool that gets them from point A to point B as safely as possible and in as little time as possible (and is legal). They do not consider their vehicle to be any different from the iron they use to press their clothes or the hair dryer in their bathroom. 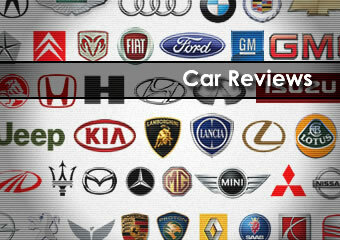 For others, however, the automotive industry and the companies that have made their mark on it are something special. They are actual world-changers that. All collections will be made free of charge. All prices quoted are guaranteed prices paid upon collection. All DVLA forms will be filled out upon collection. 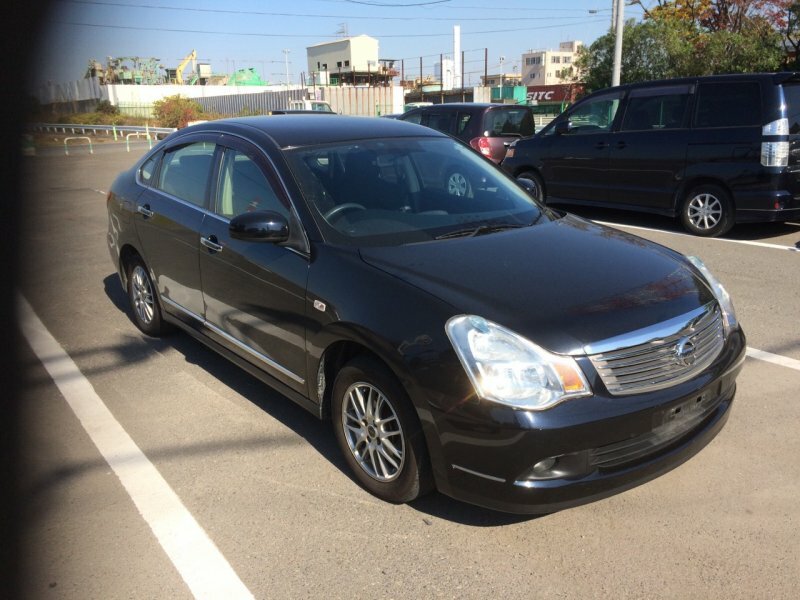 My car was picked up exactly when I asked and the office team and driver were very helpful and friendly very happy thanks. 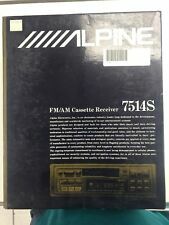 Open-Box Excellent: Alpine – CD – Built-In Bluetooth – Car Stereo Receiver – . ALPINE CDE-HD148BT CAR STEREO CD RECEIVER BLUETOOTH HD RADIO PANDORA IPOD . Alpine CDA-9855 CD/MP3/WMA Car Stereo. No reserve! Anyone who spends time in their car knows the importance of a good audio system. Car audio in-dash units replace the factory standard sound system in a vehicle. They provide more connectivity options. Finding information on used trailer values in itself is not that difficult. However, it can be a very tedious, time consuming exercise. To help you, Dan the Trailer Man has outlined the step by step process for getting used trailer values from the industry experts at Nada Guides. If you’re short for time, and looking for travel trailer values, Dan the Trailer Man is happy to do the work for you. 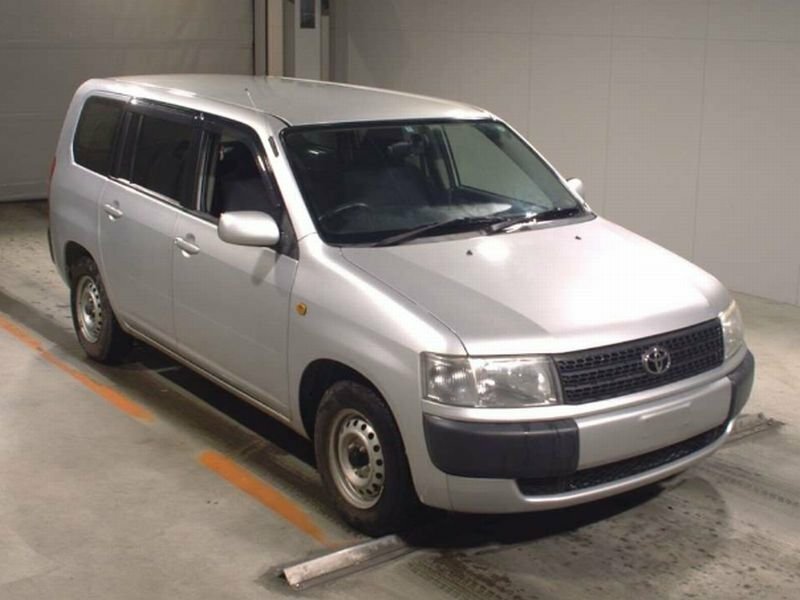 Always keep in mind that once the baseline price for a specific make, model and vintage is determined, the valuation should always be adjusted either up or down depending on the condition of the vehicle. For example, ask yourself questions like: Has there been any updates made to the vehicle? What options are included? Is it being sold as is? How much wear and tear has the vehicle sustained? Knowing the answers to these types of questions will allow to get a good read on the market value of a particular vehicle. The key is to try and get an “apples to apples” comparison. or as close to one as possible. You will be asked to type in your zip code. Suggested List вЂ” The value listed reflects the approximate price of the unit when it is brand new. The prices listed are furnished by the manufacturer and are assumed to be correct. 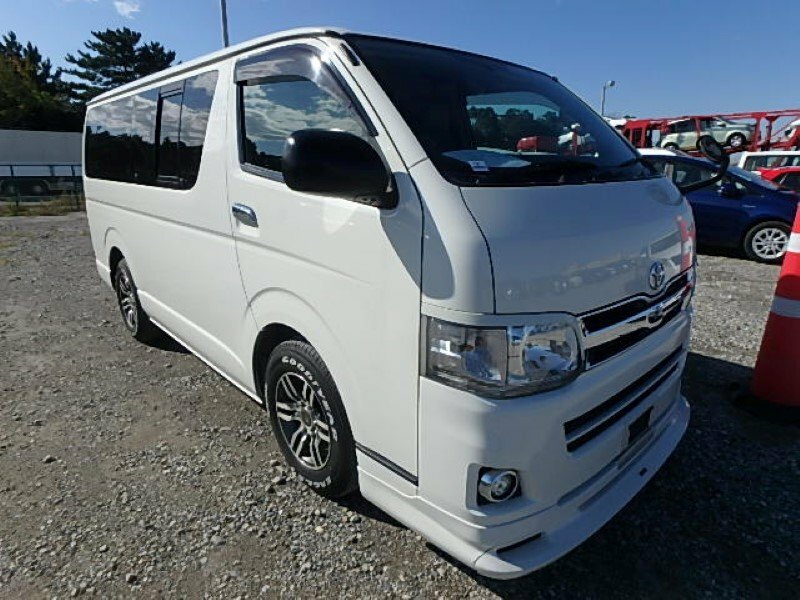 The list price does not include freight charges. Low Retail Value вЂ” A low retail unit may have extensive wear and tear. Body parts may have dents and blemishes. The buyer can expect to invest in cosmetic and/or mechanical work. This vehicle should be in safe running order. 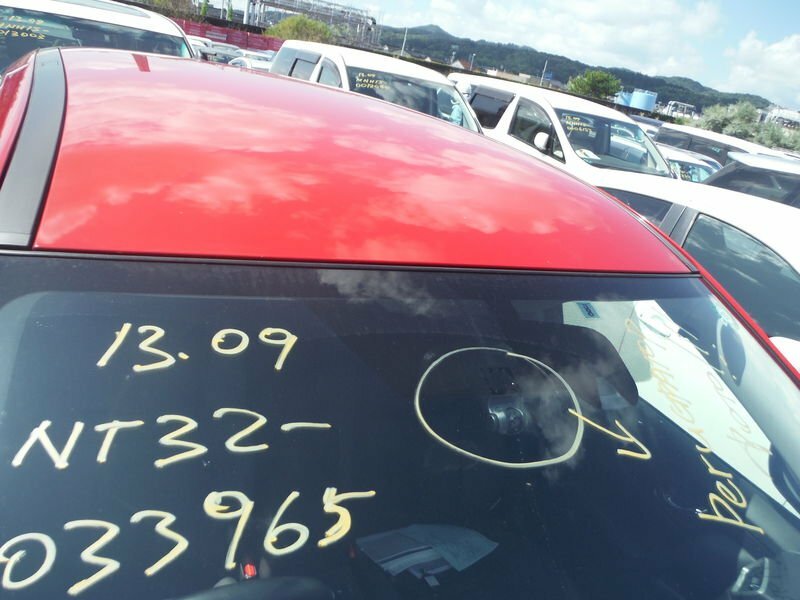 Low retail vehicles usually are not found on dealer lots. Low retail is not a trade-in value. Average Retail Value вЂ” An average retail vehicle should be clean and without glaring defects. Tires and glass should be in good condition. The paint should match and have a good finish. 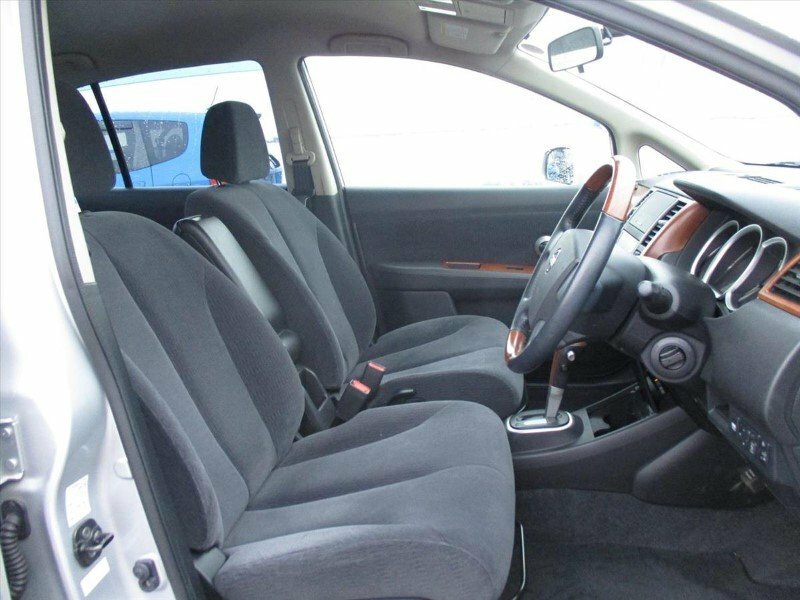 The interior should have wear in relation to the age of the vehicle. Carpet and seat upholstery should be clean, and all power options should work. The mileage should be within the acceptable range for the model year. Click on the sub menu headings to view other relevant data about your vehicle. Underneath the valuation you will notice a number of links and resources that you may find useful whether buying or selling a used trailer. When trying to determine used trailer values, information is power. If it sounds like more work than you bargained for, why not let us do the research for you. If you’re looking to get market values on travel trailers, campers, cargo trailers or horse trailers allow us to help you with your research. The information we gather will be used to create additional content for this site. If you have any questions feel free to contact us. Oy Nautor AB is a Finnish manufacturer of premium boats, and is best known for their primary product, the Swan line of luxury sailing yachts. BMW has worked with Nautor over many years, and has created this special edition to commemorate the 25 year history of BMW Individual. Fiat was founded in 1899, and its first car, the 4 hp, was built with the patents and plant for the Welleyes motorcar. Influenced by the design of the contemporary Benz, that early Fiat had a .7 liter, water-cooled 2-cylinder mounted in the rear that produced 4.2 hp @ 800 rpm and was good for 22 mph in the finished vehicle. The new BMW M5 is the basis for the company’s latest MotoGP Safety Car. The Safety Car will lead a field of high-tech racing motorcycles through a diverse array of hazardous conditions. For those who thought the LaFerrari and the track-oriented FXX-K just weren’t enough, Ferrari has upped the ante yet again. The FXX-K Evo is powered by a naturally-aspirated 6.3 liter hybrid V12 with an output of 1036 hp and over 664 lb-ft of torque. The power output is the same as the FXX-K, but where the real improvements have been made is in the aerodynamics. McLaren will be running a fall tour through the U.K. with a number of vehicles on display. McLaren Special Operations is producing a limited edition of 6 570GT cars that are inspired by the 1997 F1 XP GT Longtail homologation car. McLaren Special Operations is focused on bespoke creations derived from the McLaren lineup. For one unnamed client, MSO has created this pair of cars based on the 675LT and 675LT Spider. Car sharing is already established in many parts of the world, with car2go having 2.6 million customers worldwide. For tens of millions if not hundreds of millions of people living in urban settings, car sharing simply makes sense. The smart vision EQ fortwo is a futuristic but reasonable concept of what a car optimized for this type of transport would be like. The Cadillac CTS-V performance sedan continues into 2018 with the performance credentials it has displayed since 2004. And since 2016, that has meant a supercharged 6.2 liter V8 producing 640 hp, making it the most powerful production Cadillac ever. Do you like Serious Wheels? Please spread the word. 1. More than 6000 vehicles that are readily available in stock and from associate dealerships. 3. Careful inspection of every available stock item, ensuring our clients receive their vehicles in excellent working condition with any problems fixed prior to shipment. 4. Our own yards with well-developed infrastructure for technical inspection, loading 20ft and 40ft containers. 5. 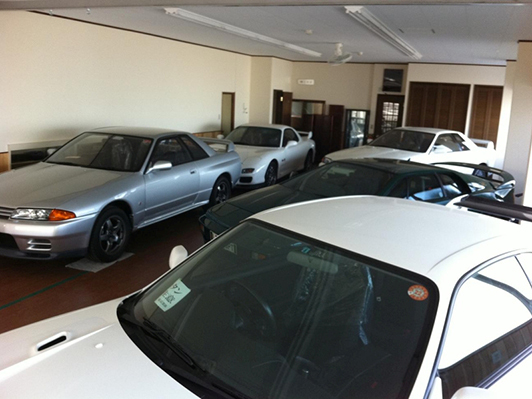 12 years of experience in exporting used vehicles from Japan. 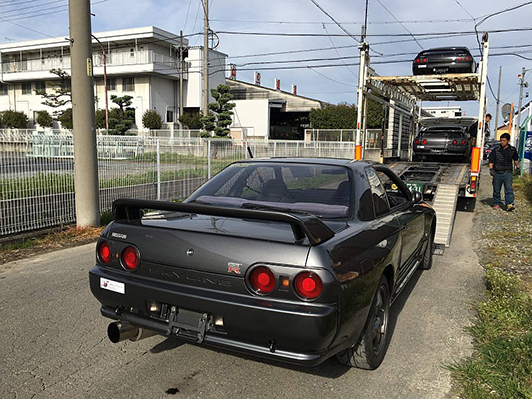 We have one of the largest owned, company stock of used Nissan Skyline cars ready to be legally shipped to USA, Canada, the United Kingdom, Australia, New Zealand, Korea and many other countries around the world. 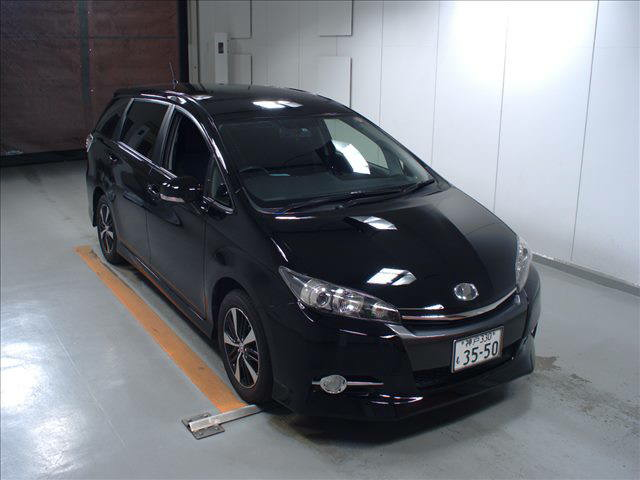 Haven’t found specific car in our stock? Let us know the year, make and model of the vehicle you desire and we do the research and let you know the average cost from vehicles sold of similar type in the last 6 weeks. Japan Partner Incorporated is a legally registered Japanese company operating in Nagoya (Central Japan) since 2002 that can be easily verified through your local embassy or by requesting our company registration documents. We shipped over 20,000 vehicles over last 12 years that is the biggest proof of our reliability and trustworthiness. 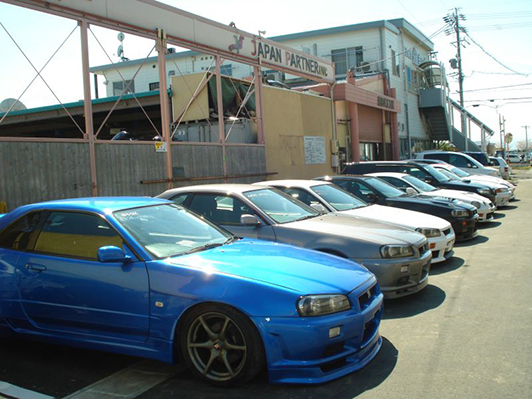 Cars in Japan are very carefully maintained and the Japanese roads are renown to be the best in the world. 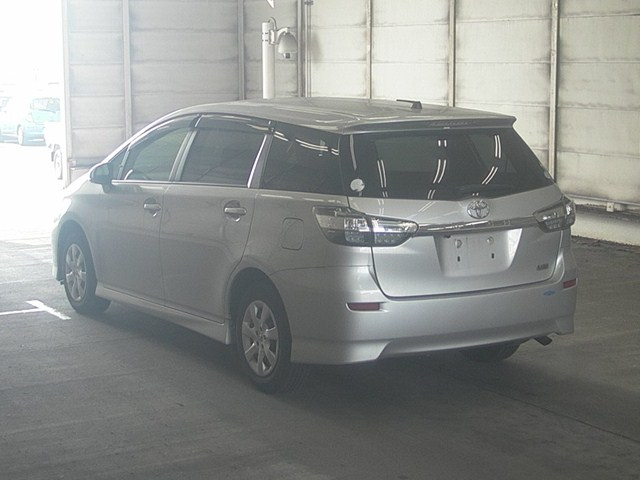 Maintenance standards for motor cars driven in Japan are one of the highest in the world. 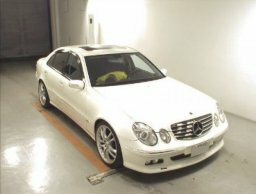 Japanese government discourages people to own cars more than 5-6 years through a tier based “shaken” (technical car examination) system – the older the car is the more “shaken” tax you have to pay. BENTLEY CONTINENTAL GTC Presented in Black metallic with contrasting Saffron leather with black hood and carpets. Compressive Bentley history. 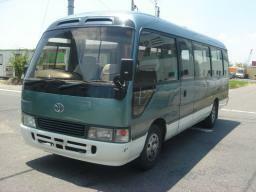 Electric heated memory seats, roof, windows and mirrors. Decals, Custom Stickers, Vehicle Graphics and more! 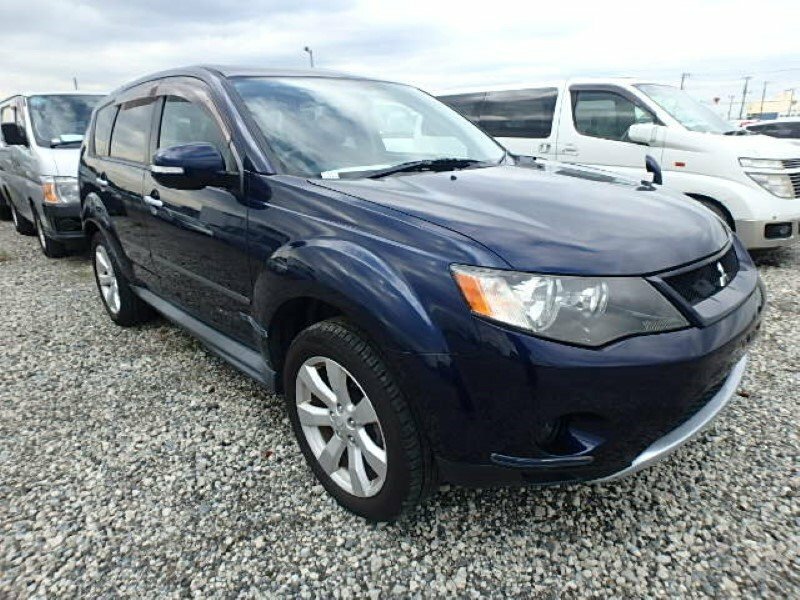 We have a great selection of new and pre-owned cars, trucks, and SUV’s for you to choose from, at affordable prices. Ready to see what we can offer you? 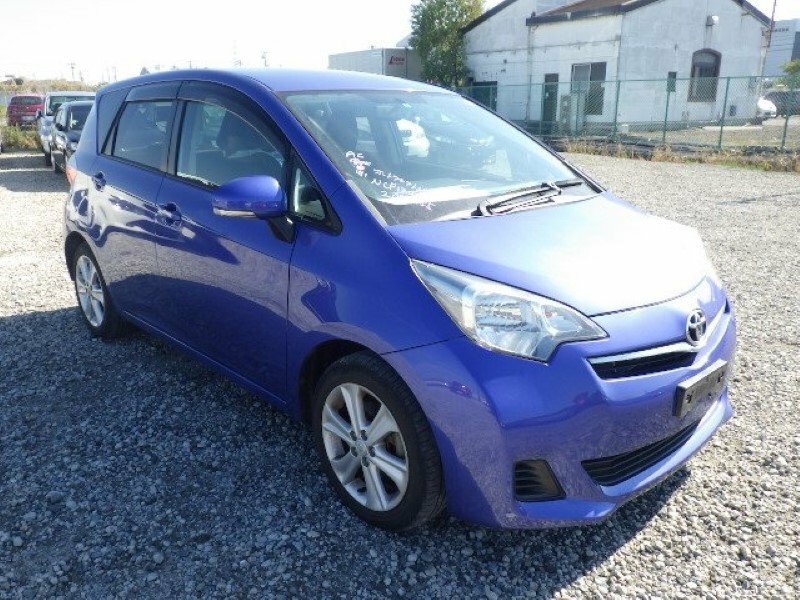 We have a great selection of vehicles for you to test drive. If you don’t see exactly what you’re looking for, just request it! Do you have damaged credit? No Credit? That’s OK with us. We work with a variety of lenders and can usually get your auto loan approved, even if your credit isn’t the best. Why should you choose us to work with you and help you find that perfect vehicle? Don’t just take it from us, hear what others have had to say about our services! Want to keep up to date with specials and other important information? Be sure to follow us on Facebook! Just click the “like page” button, it’s that easy! 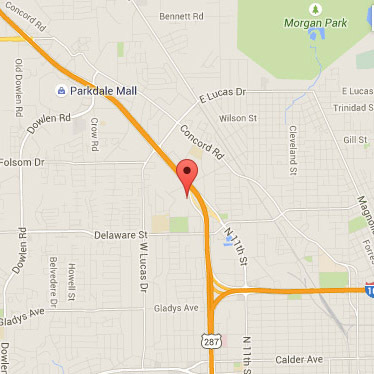 We know our prices are the best in the entire Richmond, VA area so we’re proving it to you. We’ll beat any price on a comparable vehicle or give you $5000! Contact us for details. Welcome to VA Cars Inc., the undisputed best used car dealer in Richmond, VA. Since opening in 2011, we have sold thousands of used cars, trucks, and SUV s because we treat anyone shopping for a used car just the way we would expect to be treated. 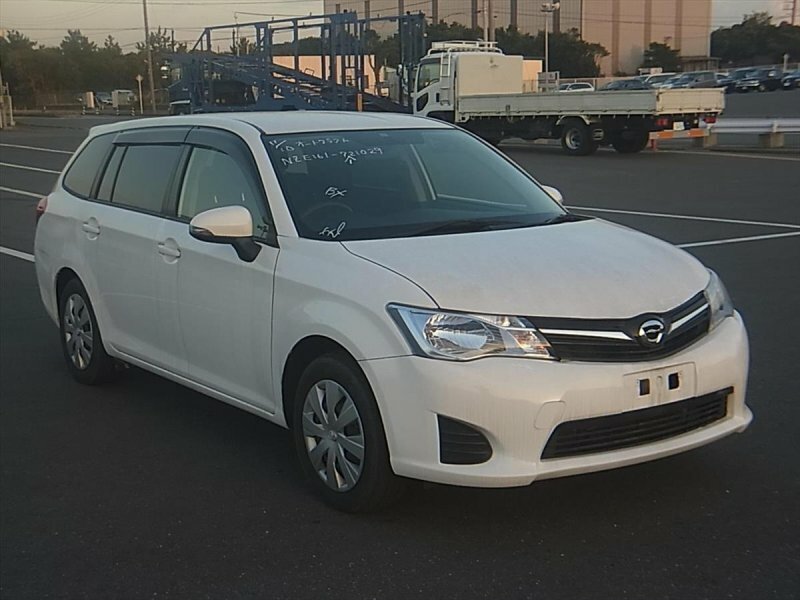 We don t carry the huge overhead expenses that other dealers typically have, so we re able to get you in a great used car at a great used price. 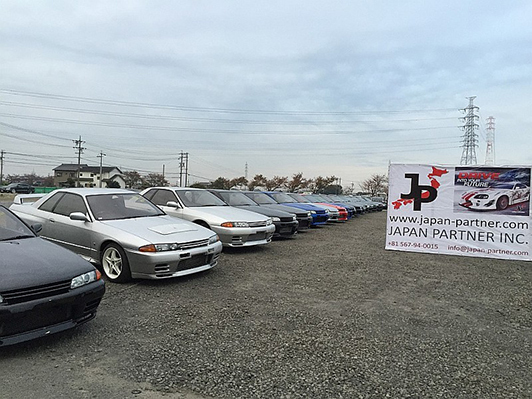 Our dealership has become so successful so quickly that we ve already opened a second location. We now have dealerships on both Ruthers Rd and Midlothian Tpk, so if you want to save money, don t buy a car from anyone else until you ve visited either of our Richmond dealerships. 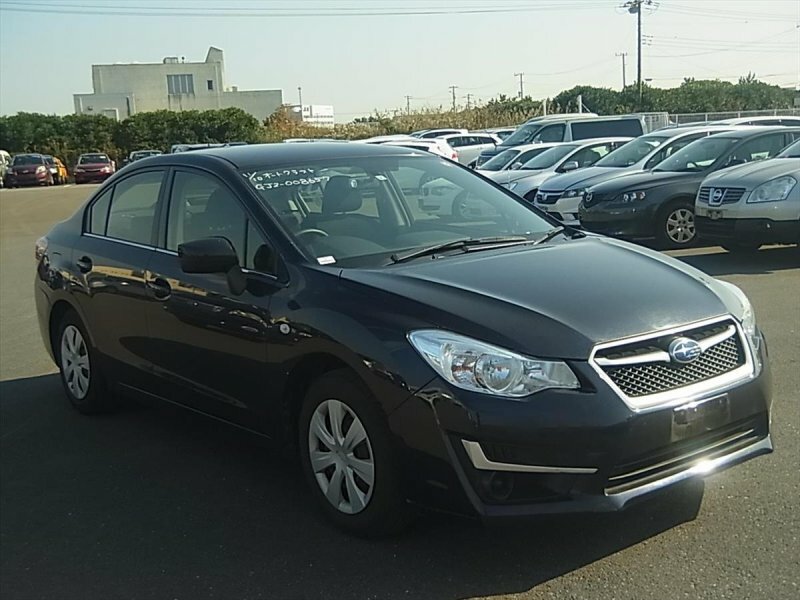 We know that a lot of people looking to buy a car in Richmond check with the big dealers like Carmax to see what they have for sale. I worked for some of the biggest car dealers before opening VA Cars, and learned a few lessons along the way. For example, big dealerships like Carmax have high costs (lots of salespeople, high rent for property, etc.) and they make up for it by having high prices. Even if a vehicle seems like a good deal, they re still making huge profits off the people who buy their cars. We re the Richmond dealership who does business the right way, so we offer a Carmax price guarantee. 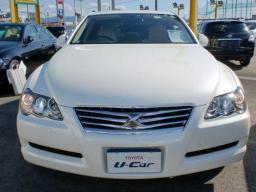 We will beat any used car deal that Carmax has offered you. Don t believe it? Come in and let us make you an offer that will have you smiling when you drive home in your new car! Whether your vehicle is due an MOT or a yearly service , Car Craft Scotland Ltd should be your first port of call. Based in Broxburn just to the west of Edinburgh city, our team of highly skilled mechanics/technicians are on hand to assist with a wide range of services which include not only vehicle servicing, repair and MOT preparation but also engine and gearbox rebuilds , chassis/body restoration or repair , diagnostic engine management issues , electrical systems, tyres and much more. Known throughout the local area for providing nothing but the best, Car Craft Scotland takes great pride in providing our customers with a first class service, time and time again. Car Craft Scotland Ltd.. Vehicle Care. as it should be ! Here is a simple breakdown of the various options available to finance your new car. Cash: Use your own cash, true you get very little return in interest these days and then have to pay DIRT at 41 %, but the flexibility of knowing you have your cash available in these times for unforeseen expenses, family or business should not be overlooked, banks are not too sympathetic to loan applications these days so holding your cash when smart financing options are available makes more sense. Credit union Finance: yes using your Credit union may seem attractive, but it may tie up your credit line of available funds by using it all to buy a car, better to look at dealer financing. Your own bank financing: Personal loans are unheard of nowadays and the main banks AiB and BOI will introduce you to their car finance divisions whose rates seem to be more expensive than dealer financing. PCP type financing: PCP (personal Contract purchase) is basically a standard consumer hire purchase contract, with all the same rights for you as a consumer, in some cases at rates subsidised by manufacturer as an incentive, together with a Guarantee from the dealer to buy your car back at the term expiry if you do not want to keep it. Using PCP type finance reduces your exposure and your costs, typically saving you 1800 on a 20000 eu loan over 3years as compared with same loan over 5 years and settled after 3 years, in other words you do not pay for time you do not use, and you own your car and any equity in it at the end of the agreement. This is by far the most flexible way to finance your car these days. Contract hire: This is a rental agreement, for business users or sole traders and can be used for cars or commercial vehicles. The agreement will cover the use of the vehicle for a defined time and mileage and may or may not include a maintenance contract as well. As it s a business type agreement the rentals will include vat, which may be deductible in the course of your business, this can apply to both cars and commercials. Whether you are starting a new business or running a fleet, Contract hire has attractions in that the funding is off balance sheet, you are not building up a stake in cars / vans at the expense of valuable working capital. You should of course talk to your tax adviser, and as experienced professionals we are available to help as well. How does the cost of buying a new car compare to leasing the same car? And if you decide to buy a used car, how much would you save over buying or leasing a new car? Finally, what impact will those decisions have a few years from now when you’re ready to shop again? It’s hard to give one definitive answer that covers all people and all situations, but here’s the short version: If your only concern is making the most sensible financial decision for acquiring the car, buy a used one, pay it off and keep it for a few years. Used cars aren’t for everyone, however. If you want the latest technology or like having a new car every three years, buying new or leasing are the routes to take. If a low monthly payment is your primary goal, leasing might be the best approach. Leasing: The average lease cost is based on a compact SUV that sells for $27,142 and has drive-off fees of $2,038. For the lease’s interest rate, better known as the money factor, we’ve used the average amount: 0.000833. This results in a $330 monthly payment for three years. We used the same numbers for the second three-year lease. Buying New: The average amount financed for a new car is about $26,830, with a down payment of $3,181. The average interest rate is 4.5 percent, resulting in a monthly payment of $426. Buying Used: The average amount financed for a 3- or 4-year-old compact SUV is $18,691 with an average down payment of $2,275. The interest rate for used-car loans is usually higher than for new, and in our case it would be about 7.2 percent. These factors result in a monthly payment of $344. In terms of out-of-pocket spending, leasing costs $5,846 less over six years than buying a new car, excluding any repair costs the new car might incur. The out-of-pocket cost of buying a used car is $2,870 cheaper than leasing and a $8,716 cheaper than buying a new car. 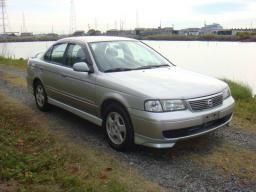 We have excluded any costs of repair for the used car. What Did Your Money Get You? Here is something essential to remember about the apparent lower cost of leasing versus buying new: At the end of a leasing cycle, you don’t own the car. Generally speaking, you have to start a new lease-or-buy cycle. But if you’d bought a new car and were now at the end of the ownership cycle, you’d have a 6-year-old vehicle that would have about 72,000 miles on the odometer. It would be worth roughly $9,800 as a trade-in, according to Edmunds data. If you’d bought a used car, it would now be about 9 years old. It would have about 108,000 miles and would be worth about $6,000 as a trade-in. You could potentially earn a couple thousand more dollars by selling to a private party. But most people are likely to opt for the convenience of a trade-in at the dealership. When we deduct that used-car equity from the out-of-pocket costs of acquiring the car, the long-term cost picture changes. Buying new looks like a better deal than leasing. Buying used still is the thriftiest way to go, however. In this basic comparison, if you’d leased two compact SUVs back to back, you would have paid $3,954 more to drive them for six years than you would if you bought a new vehicle. If you’d bought a used compact SUV, you would have saved $8,840 over leasing during this six-year cycle. 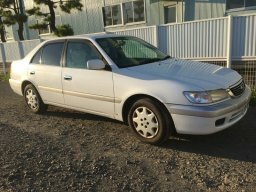 Buying used rather than buying new would have saved $4,886. Since a lease is usually for three years, the vehicle is always under warranty. You avoid the hassle of out-of-warranty repairs and costly maintenance. You do have to pay for routine maintenance, but that usually involves just oil changes and tire rotation. You can avoid maintenance costs altogether if you lease a new car that has afree maintenance program. 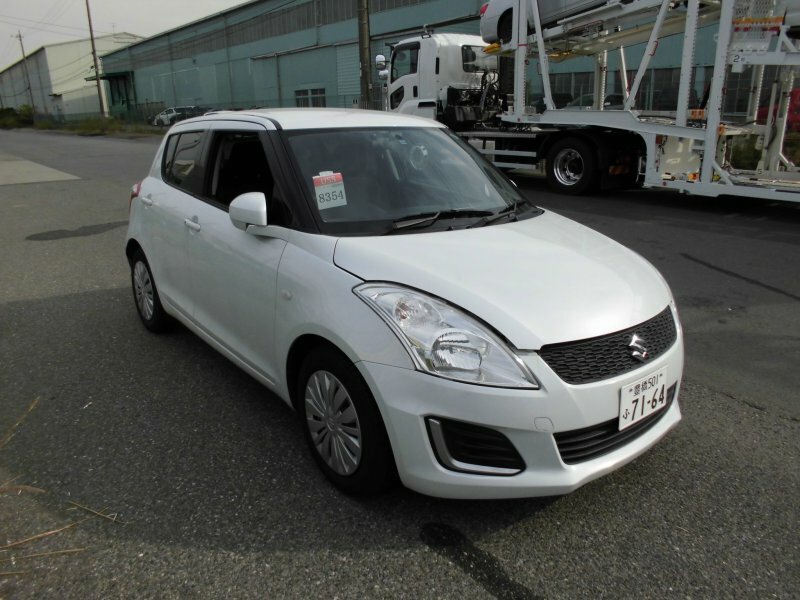 You have the opportunity to buy the leased vehicle. The finance company sets the purchase price at the beginning of the lease, and often that’s the current market value of the vehicle at the end of the lease. Leasing protects you against unexpected depreciation. If the market value of the car unexpectedly drops because of a shift in the market, brought about by such things as rising gas prices, you aren’t hurt. 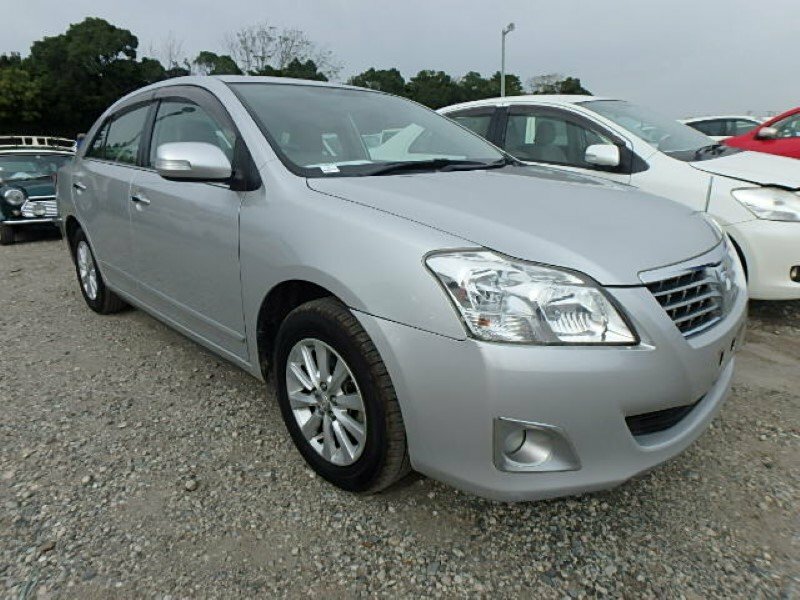 Conversely, if the lease car holds its value especially well, you can buy the car at a bargain price at the end of the lease and either keep or resell it. In some cases, people can leverage equity in leased cars. Leasing offers an attractive tax deduction if you use the car for business. An accountant is the best resource for more information on this subject. Leasing offers the enjoyment and prestige of driving a newer car more often. Leasing provides a new car that has the latest safety, technology and comfort features. You’re free to bank or invest the money that you used to spend on your monthly payment. You also can apply that money to household expenses or set it aside as a repair and maintenance fund for the car you own. You have the flexibility to sell the car when you want to, not when the lease is up. 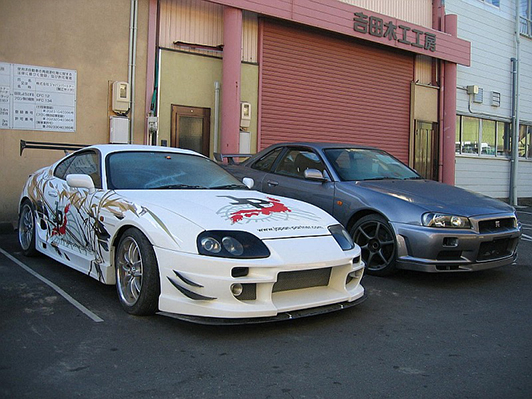 You can modify the car exactly as you want without fears that you will break the terms of your lease contract. You don’t have to worry about excess wear and tear, which you could be required to pay for on a leased car. You don’t have to worry about excess mileage penalties. Remember that financing a new or used car only starts to make financial sense when you’ve paid the loan in full. You need to keep the vehicle for a while to enjoy months or years without car payments. But of course, if you drive the car for years and years and pile on the mileage, you diminish its value. Unless it’s a classic vehicle, a car is a depreciating asset. While on paper the used vehicle might be the least expensive option, you might not be comfortable handling repairs on an aging vehicle. Or if you’ve always purchased your vehicles only to get bored with them in a few years, leasing might be the better option. Do your own calculations, factor in the intangibles, and the best decision for you will emerge. Length of lease: Most people lease for three years. We assumed the costs involved in two lease cycles (72 months) to better match the 79-month ownership period for new and used cars. Average new-car loan term and interest: The average loan term for a new car in 2017 was 69 months, or just under six years. We assumed a 72-month new-car loan, which is close to the 69-month average and matches the length of leases in our leasing example. Average used-car loan term and interest: The average used-car loan is slightly shorter than that of a new-car loan. We used a 66-month loan for the used-car example. Source of the information: For each financing method, the average cost of the vehicle, interest rate, down payment and monthly payment are based on Edmunds data for thousands of recent transactions across the United States. 123-stickers.com est depuis plusieurs années implanté dans la vente et la réalisition de stickers et autocollants de décoration. Le catalogue proposé par le site est un des plus gros choix d’adhésifs proposé sur le net avec plus de 8000 produits. L’utilisation d’autocollants permet de décorer à moindre coût son salon ou chambre avec nos stickers muraux. Aucun univers n’est oublié avec 123-stickers, vous aurez la possibilité de personnaliser une chambre d’enfant avec nos stickers pour enfants, faire de votre voiture une auto unique avec notre collection de stickers tuning. MД°TSUBД°SHД° QIЕћ SERVД°S ENDД°RД°MLЖЏR KAMPANД°YASI! BizdЙ™ tЙ™kliflЙ™r bitmir! 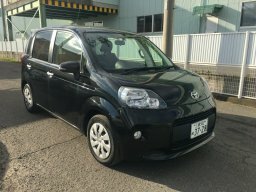 Mitsubishi-dan nГ¶vbЙ™ti servis kampaniyasД±. YaДџdЙ™yiЕџmЙ™yЙ™ 15% ENDД°RД°M Й™ldЙ™ edin. ГњstЙ™lik, hЙ™rЙ™kЙ™t hissЙ™sinin diaqnostikasД± PULSUZ. ГњГ§ elektrik mГјhЙ™rrikli, tam Г¶tГјrГјcГјlГј vЙ™ sГјni intellektli вЂњe-EvolutionвЂќ konsepti 25 oktyabrda Tokioda debГјt edЙ™cЙ™k vЙ™ daha sonra markanД±n flaqman modelinЙ™ Г§evrilЙ™cЙ™k. .
YГјkГјnГјzГј yГјngГјllЙ™ЕџdirЙ™cЙ™k dГ¶zГјmlГј avtomobil – Mitsubishi L200-Гј bГјtГјn xЙ™rclЙ™r daxil 15 500 manat Г¶dЙ™mЙ™klЙ™ 3 il mГјddЙ™tinЙ™ aylД±q 1550 manat Г¶dЙ™niЕџlЙ™ Й™ldЙ™ edЙ™ bilЙ™rsiniz. .
Mitsubishi payД±zД±n ilk servis kampaniyasД±nД± elan edir! HЙ™rЙ™kЙ™t hissЙ™sinin pulsuz diaqnostikasД±ndan faydalanmaДџa tЙ™lЙ™sin. HЙ™mГ§inin, Й™laqЙ™dar ehtiyat hissЙ™lЙ™rinЙ™ 15% endirim Й™ldЙ™ edin. Kampaniya 15 Oktyabr 2017 tarixinЙ™ qЙ™dЙ™r davam edЙ™cЙ™k. 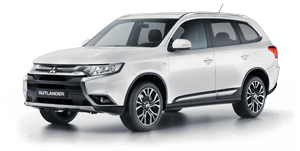 Avtomobilinizin hЙ™r zaman mГјkЙ™mmЙ™l qalmasД± vЙ™ idarЙ™ olunmasД± ГјГ§Гјn Mitsubishi Motors AzЙ™rbaycanda istifadЙ™dЙ™ olan Mitsubishi Lancer avtomobillЙ™rin bЙ™zi hissЙ™lЙ™rini Й™lavЙ™ yoxlanД±Еџ keГ§irilmЙ™sini tГ¶vsiyЙ™ edir. Siz dЙ™ Bank RespublikanД±n вЂњPayKartвЂќ kredit kartД±n ГјstГјnlГјklЙ™rindЙ™n yararlanacaqsД±nД±z. Д°ndi kondisioner sisteminin diaqnostikasД±nda vЙ™ sistemin qazla (freon) doldurulmasД±nda 50% endirimdЙ™n yararlana bilЙ™rsiniz. .
Avtomobili yenilЙ™mЙ™k istЙ™yЙ™nlЙ™rЙ™ Й™la fГјrsЙ™t. KГ¶hnЙ™ avtomobili sЙ™rfЙ™li ЕџЙ™kildЙ™ dЙ™yiЕџdirmЙ™k imkanД±nД± qaГ§Д±rmayД±n. .
“Mitsubishi” konserni 1970-ci ildЙ™ “Mitsubishi Heavy Industries” avtomobil ЕџГ¶bЙ™si “Mitsubishi Motors Corporation”Й™ Г§evrilmЙ™zdЙ™n qat-qat Й™vvЙ™l avtomobillЙ™r istehsal etmЙ™yЙ™ baЕџlayД±b. “Mitsubishi” avtomobillЙ™rinin mГјhЙ™ndis kamilliyi vЙ™ yГјksЙ™k etibarlД±ДџД± fЙ™lsЙ™fЙ™sinin Й™sasД± mЙ™hz hЙ™min dГ¶vrdЙ™ qoyulur. HazД±rda “Mitsubishi Motors” dГјnyanД±n 32 Г¶lkЙ™sindЙ™ 1,6 mln.-dan artД±q avtomobil istehsal edЙ™n iri dГјnya istehsalГ§Д±larД±ndan biridir. 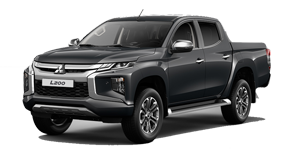 “Mitsubishi” mЙ™hsullarД±n geniЕџ spektrini tЙ™klif edir – miniavtomobillЙ™rdЙ™n tutmuЕџ aДџД±r yГјk maЕџД±nlarД±, avtobuslar vЙ™ xГјsusi kommersiya avtomobillЙ™rinЙ™dЙ™k. “ГњГ§ brilyant” – bu mЙ™Еџhur emblem Й™n sЙ™rt idman yarД±ЕџlarД± ЕџЙ™raitindЙ™ Г¶z etibarlД±ДџД±nД± tЙ™sdiq edib, “Mitsubishi”nin qabaqcД±l texnologiyalarД± isЙ™ bГјtГјn dГјnyada tanД±nД±b. Sizi maraqlandД±ran istЙ™nilЙ™n modelin komplektasiyasД± ГјzrЙ™ sorДџunuzu ГјnvanД±na gГ¶ndЙ™rЙ™ bilЙ™rsiniz. SizlЙ™ri yeni Mitsubishi Avtomobil MЙ™rkЙ™zini layiqincЙ™ qiymЙ™tlЙ™ndirmЙ™k ГјГ§Гјn onu ziyarЙ™t etmЙ™yЙ™ dЙ™vЙ™t edirik.